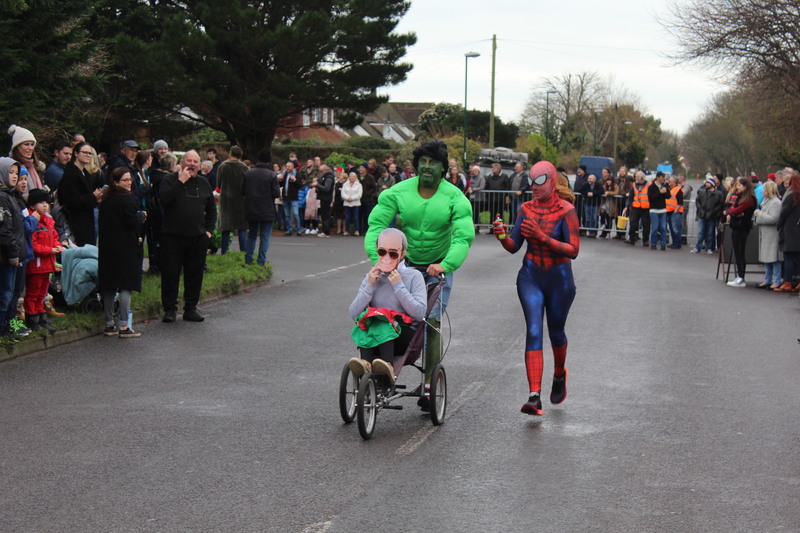 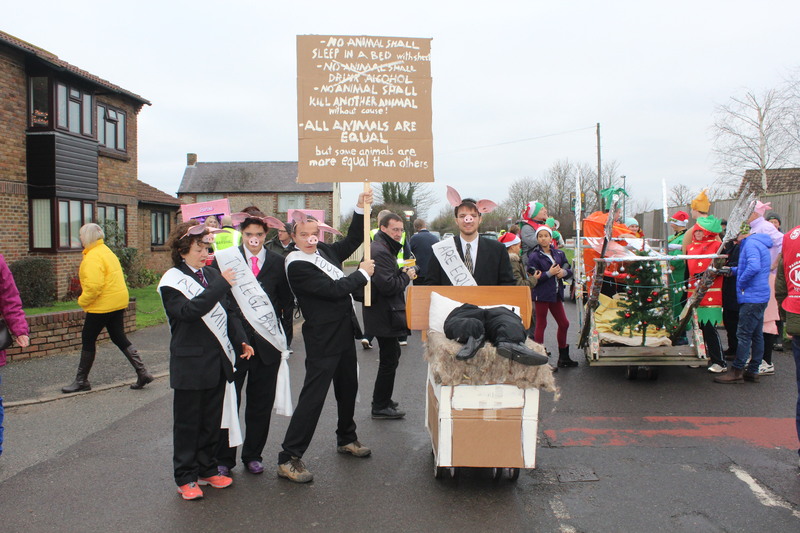 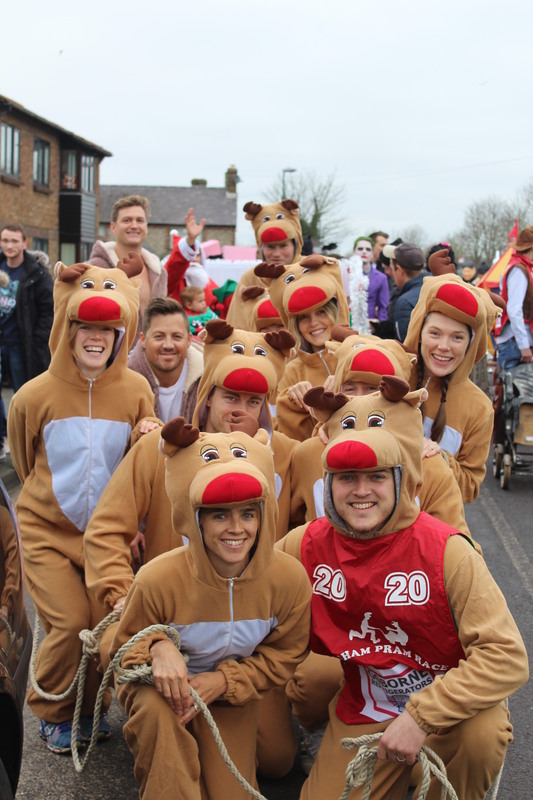 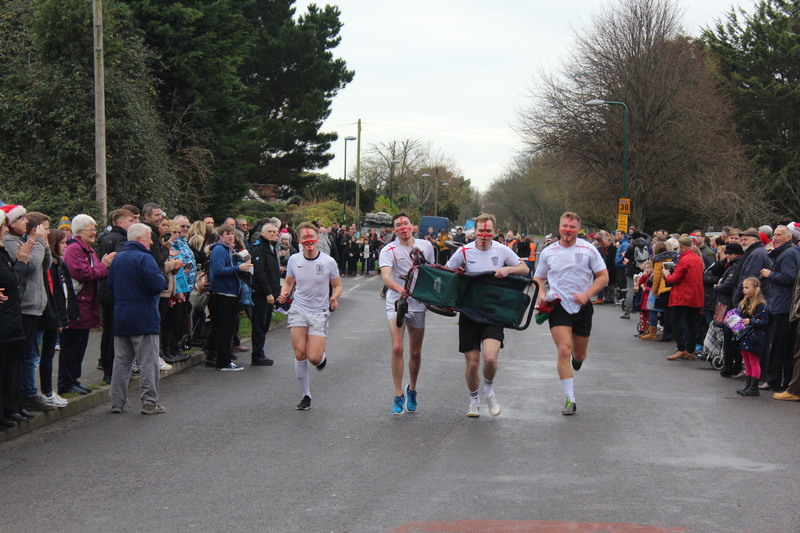 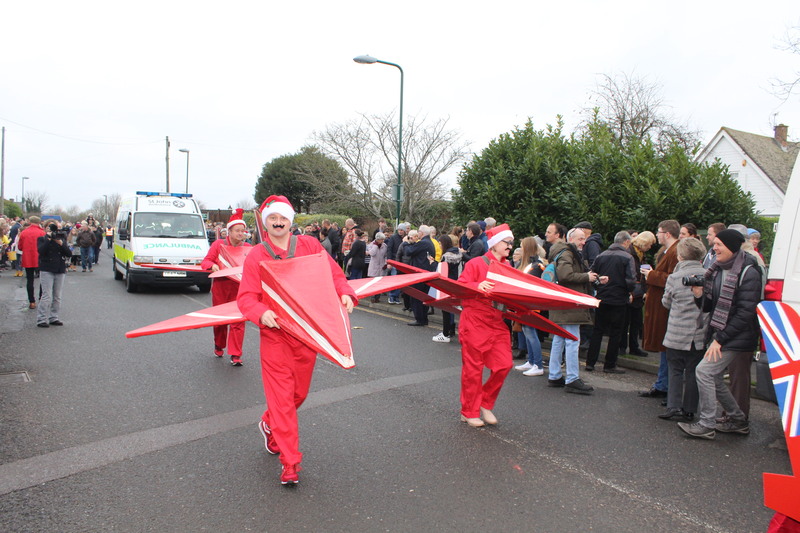 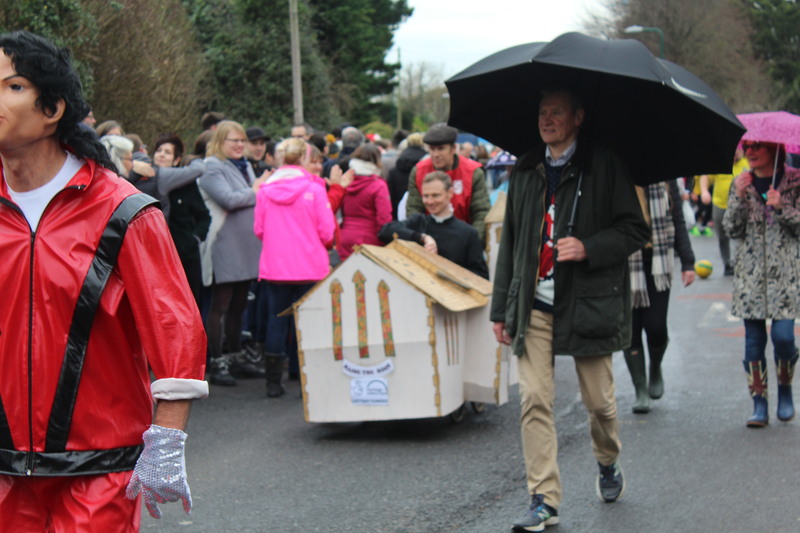 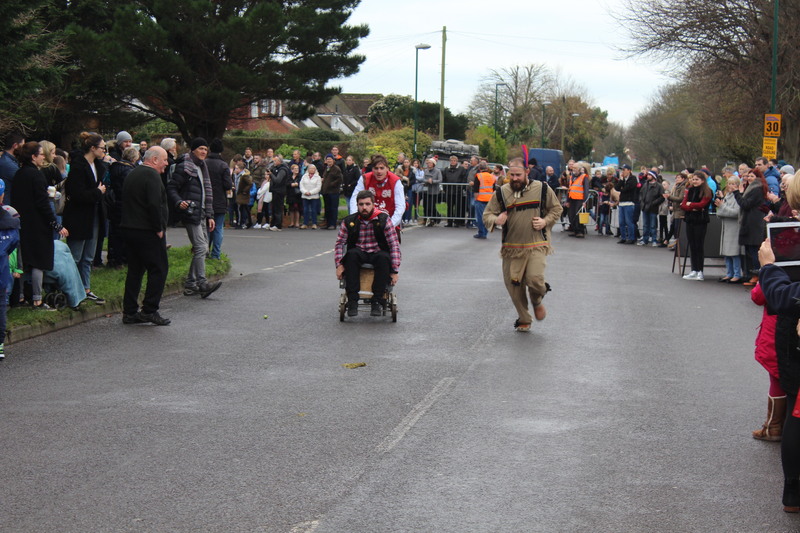 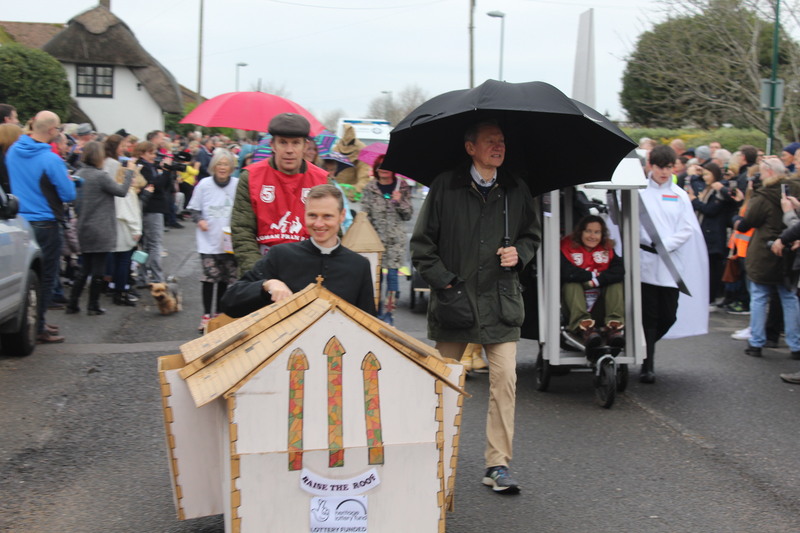 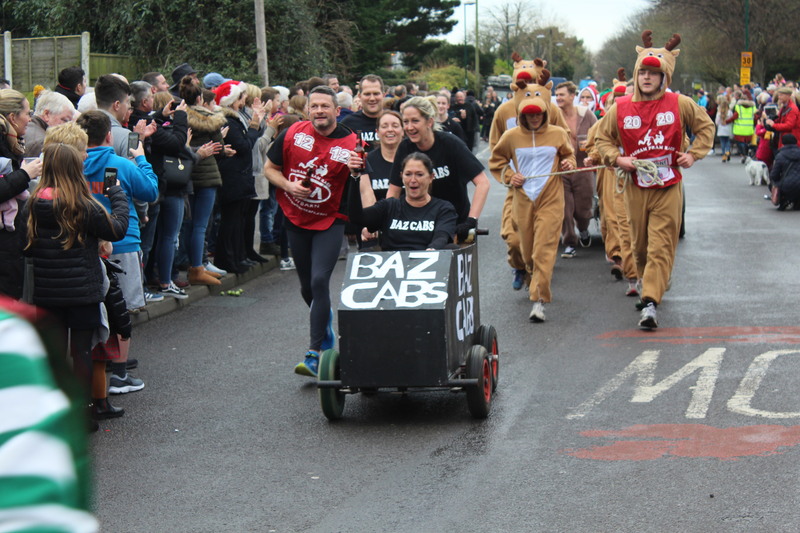 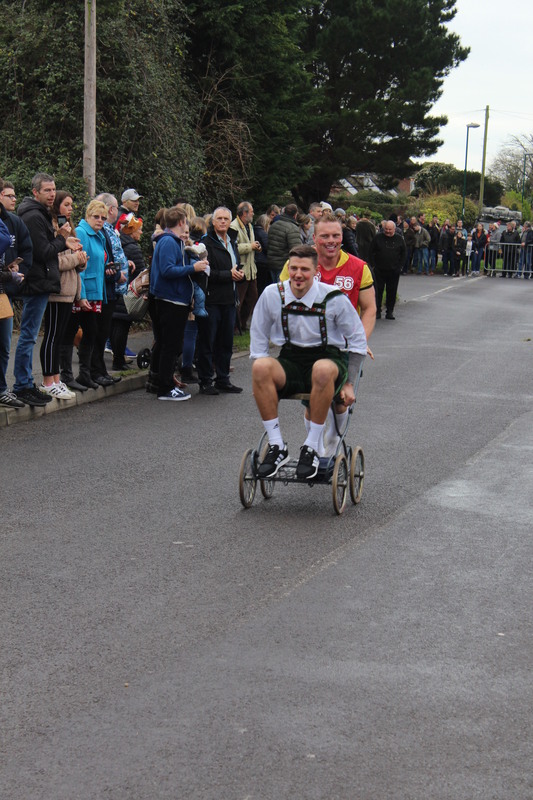 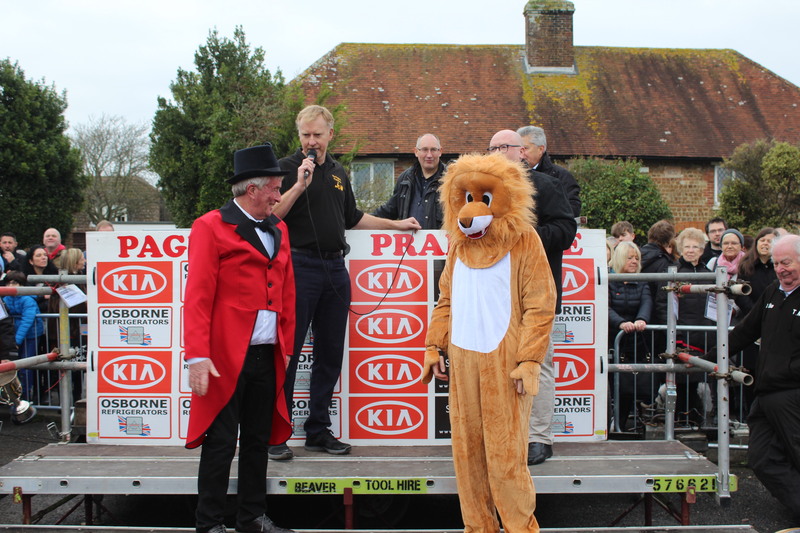 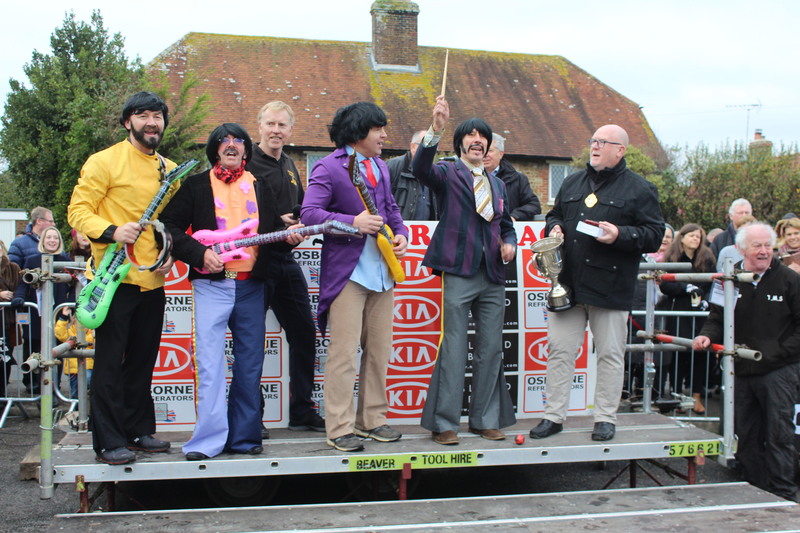 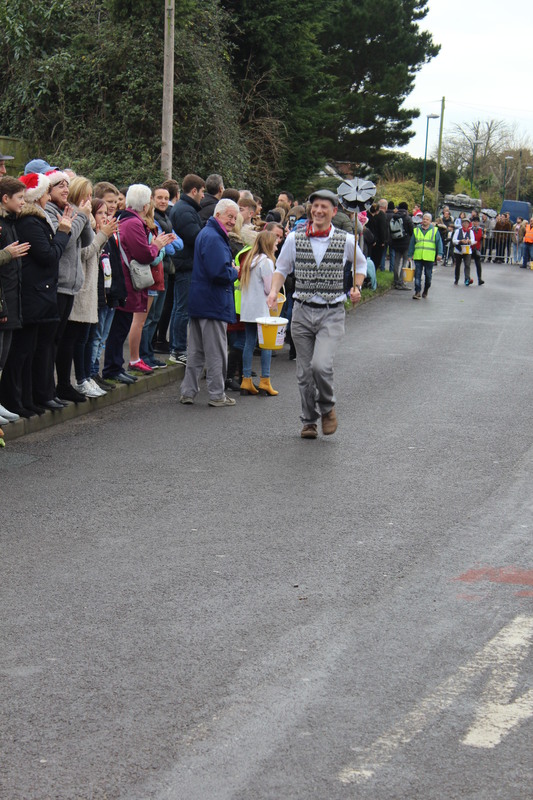 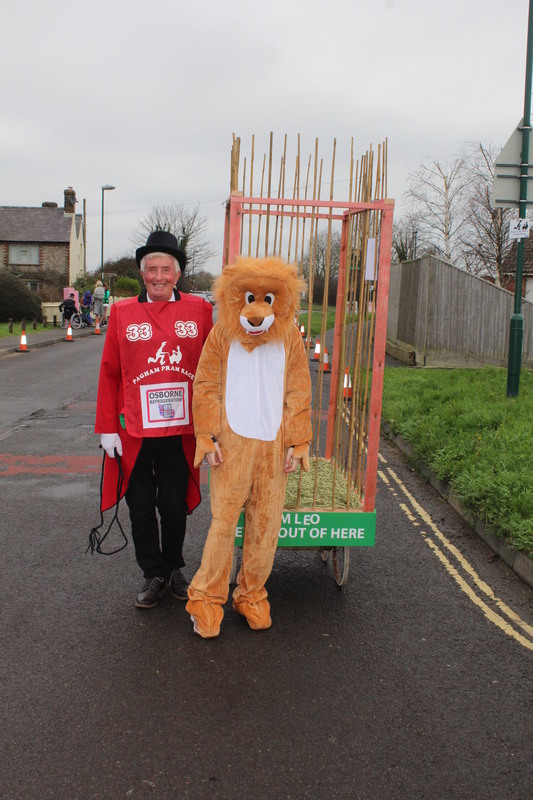 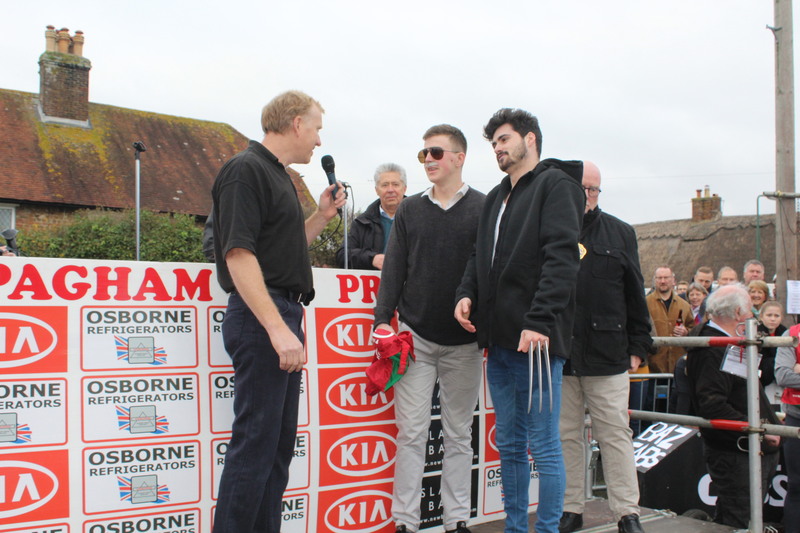 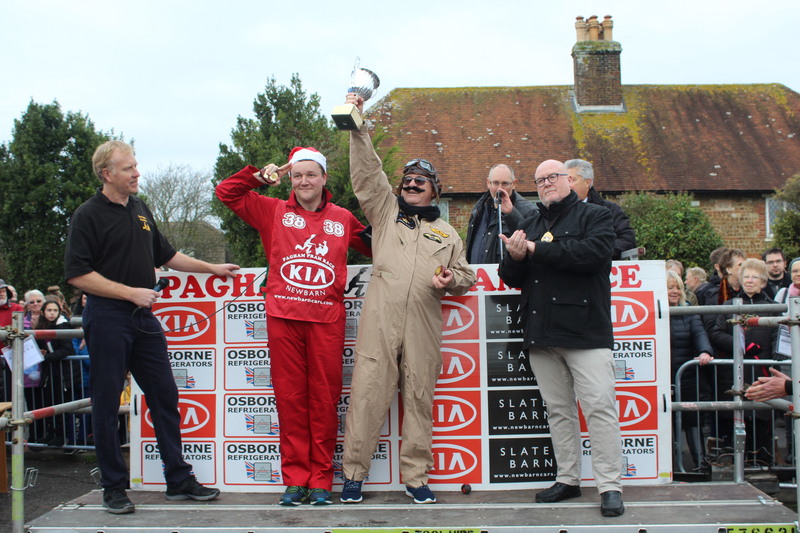 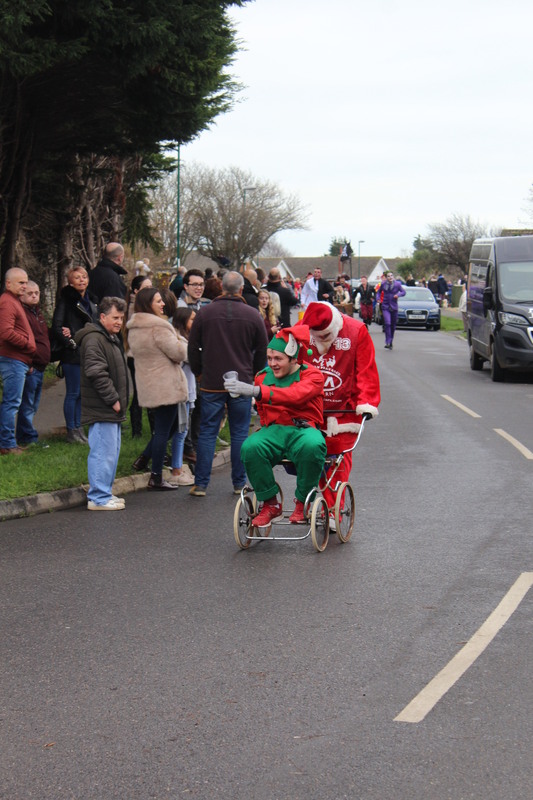 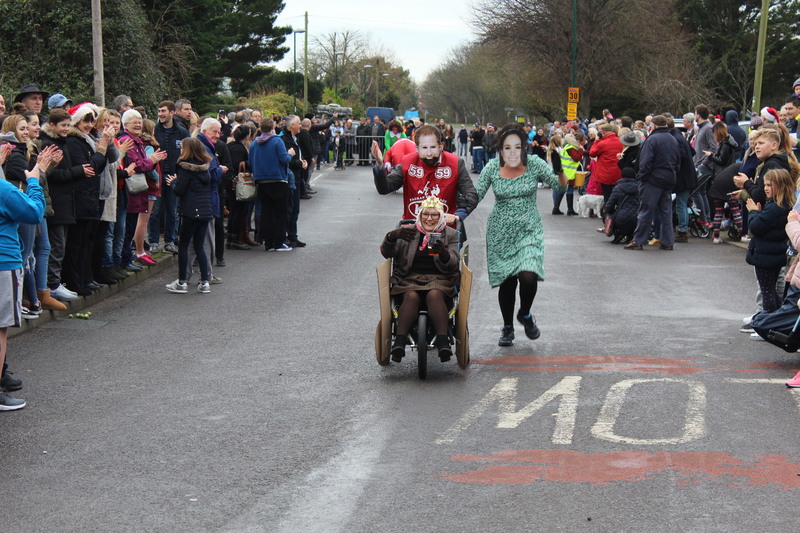 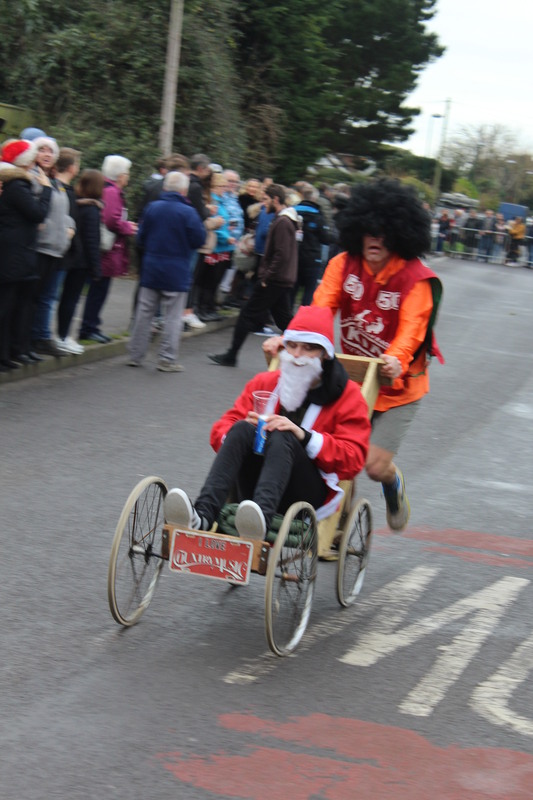 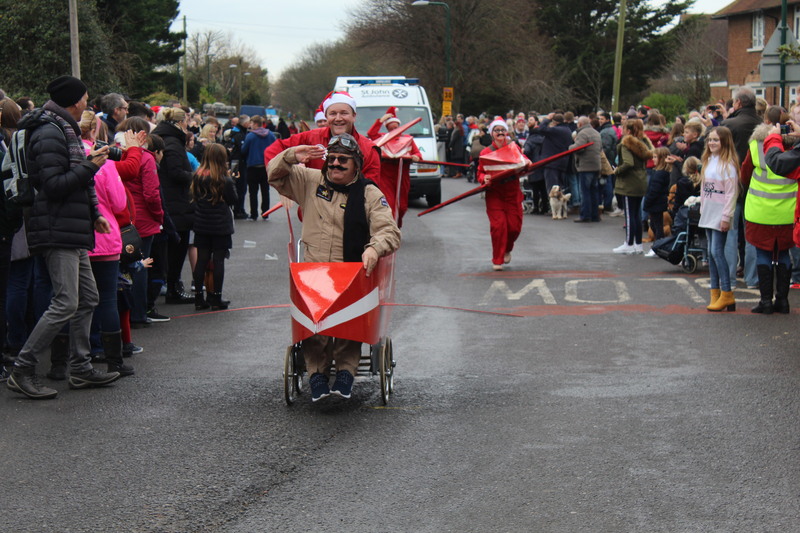 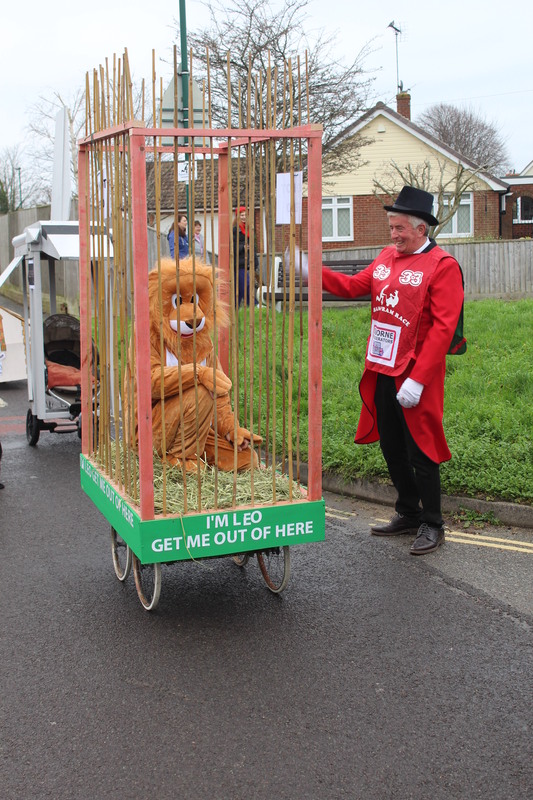 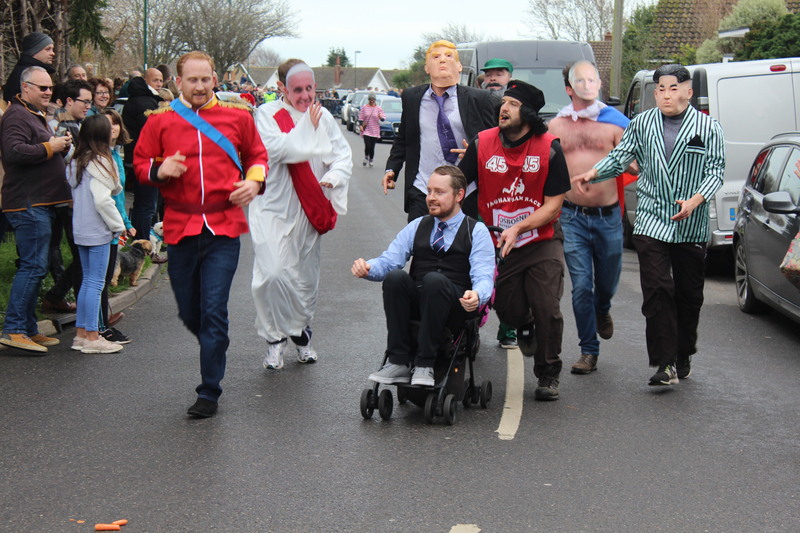 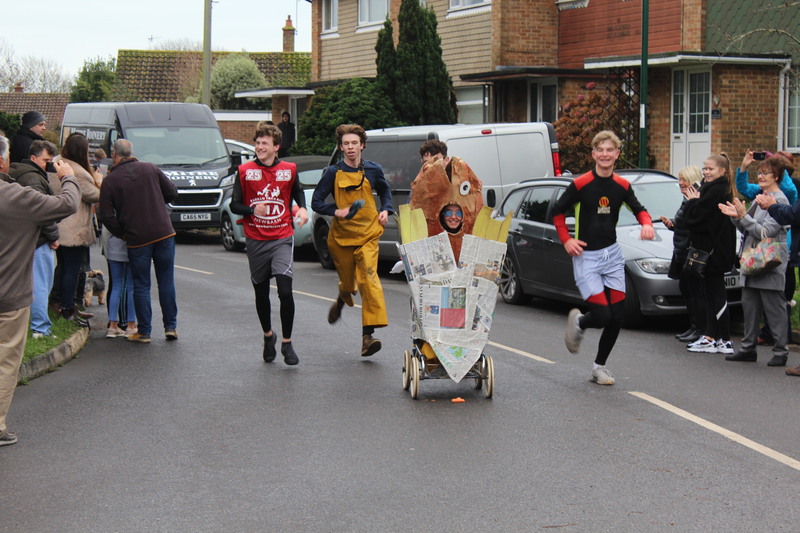 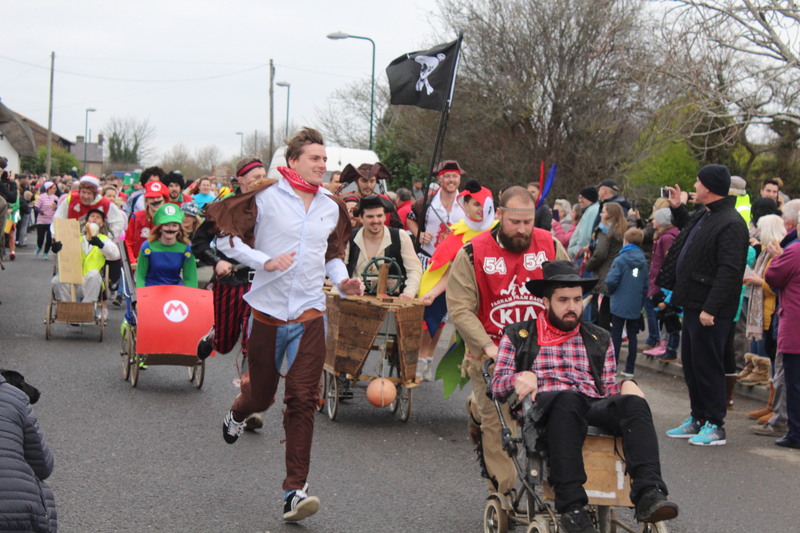 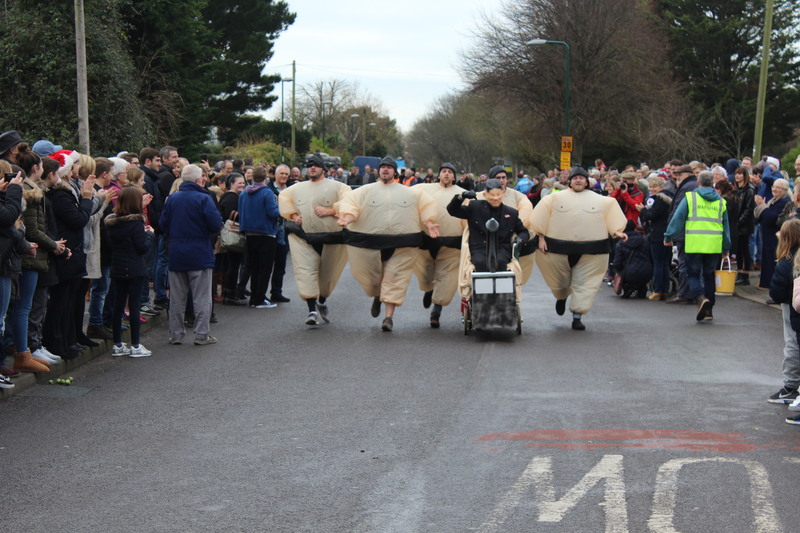 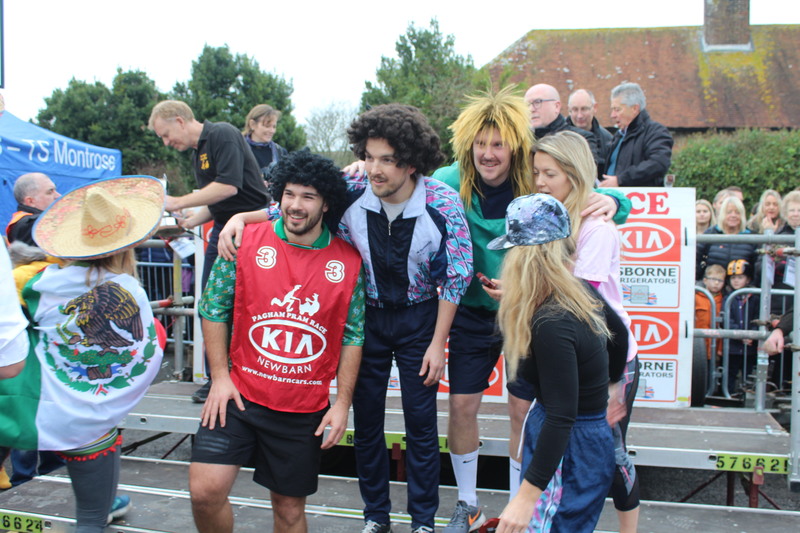 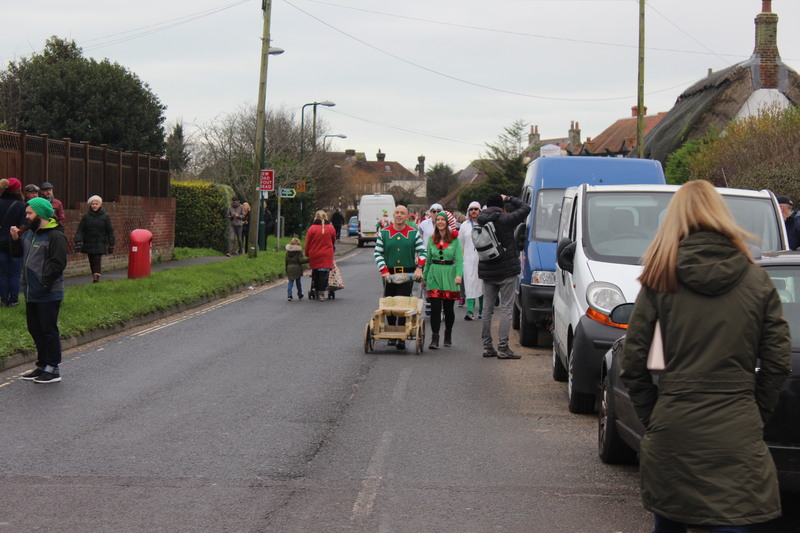 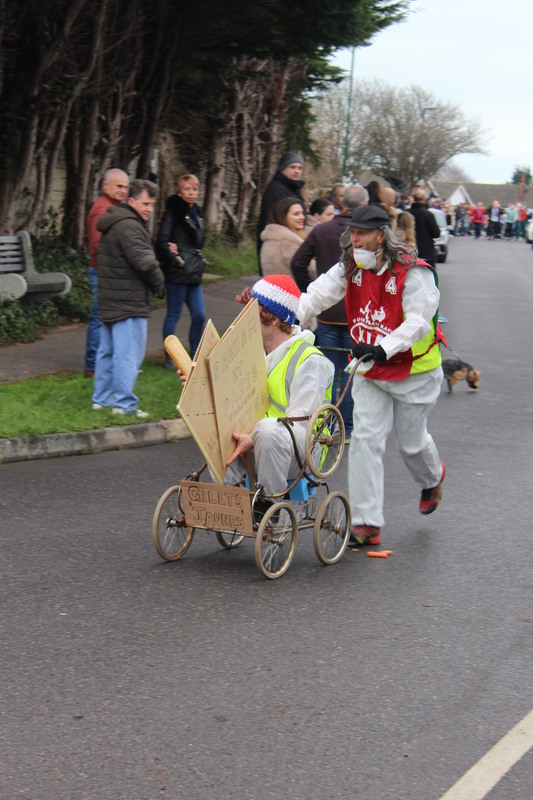 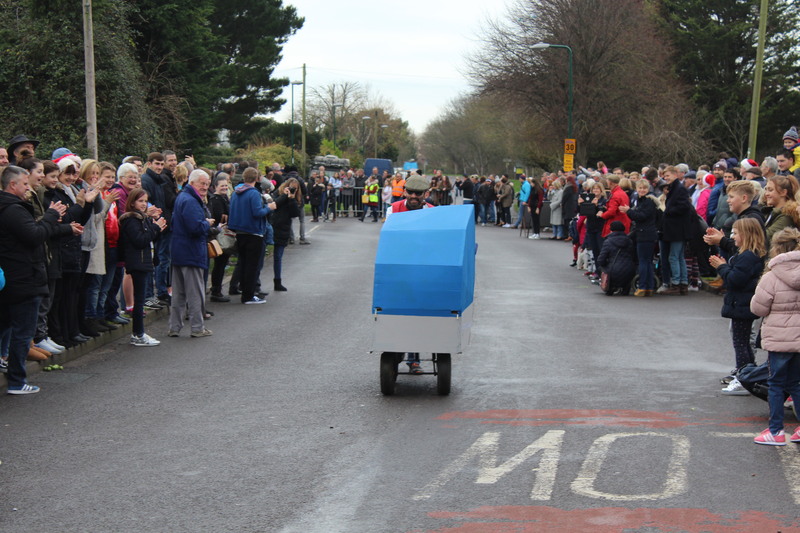 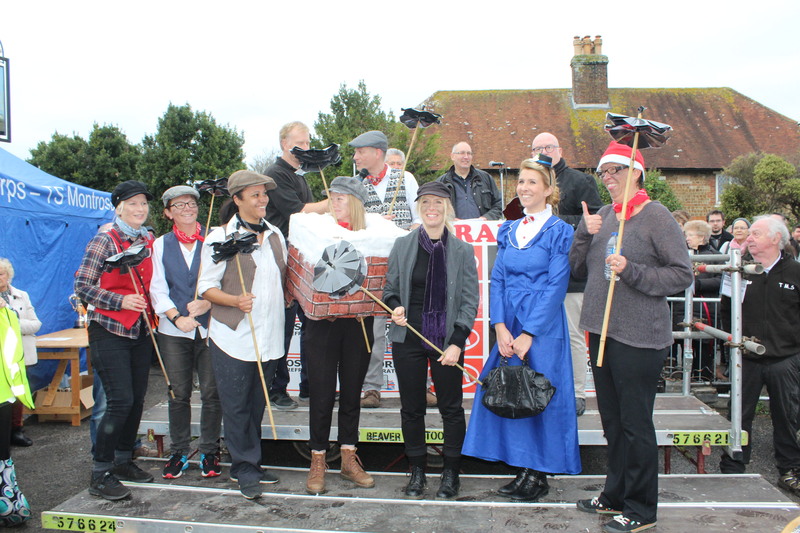 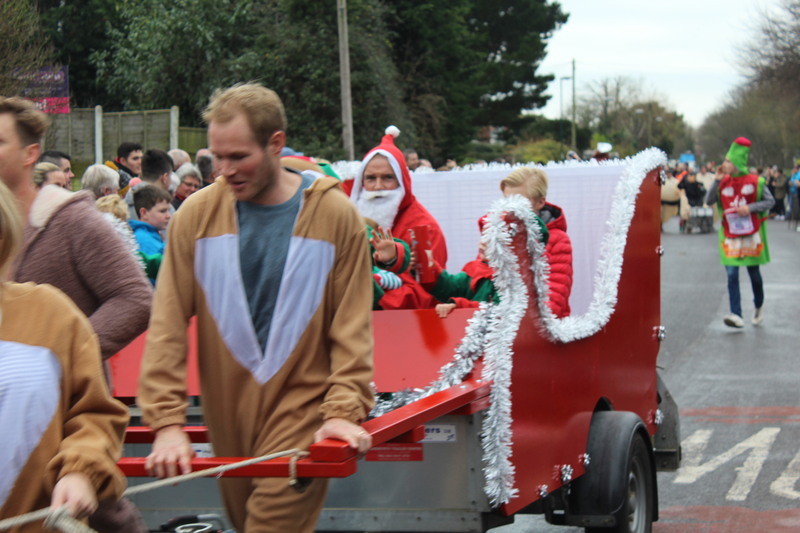 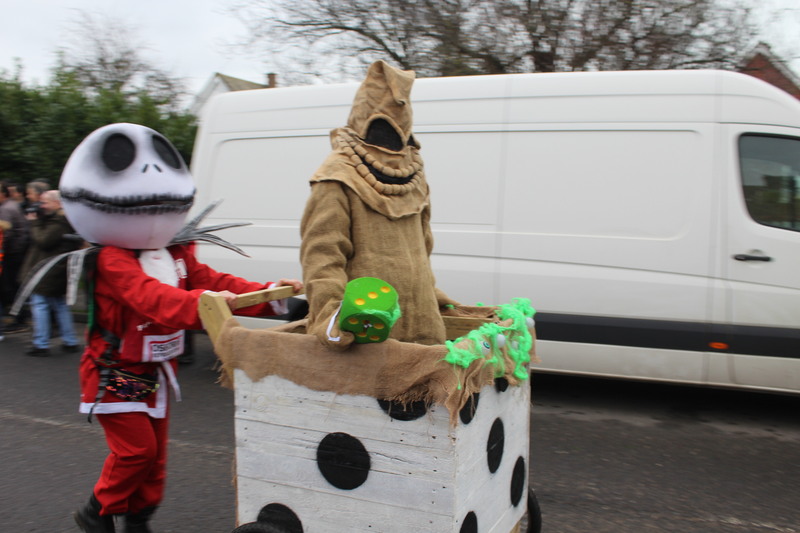 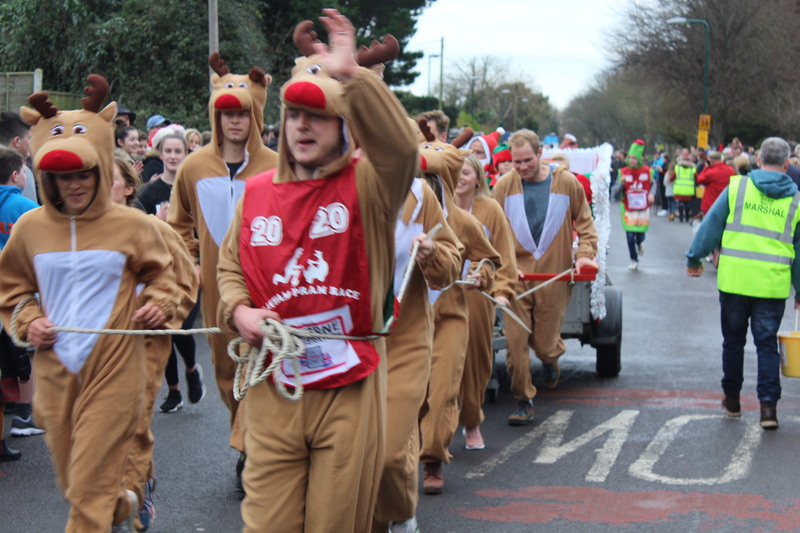 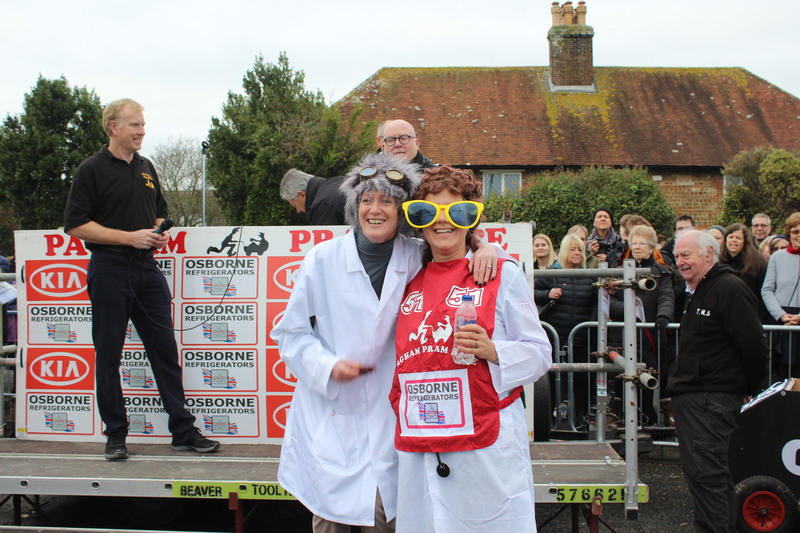 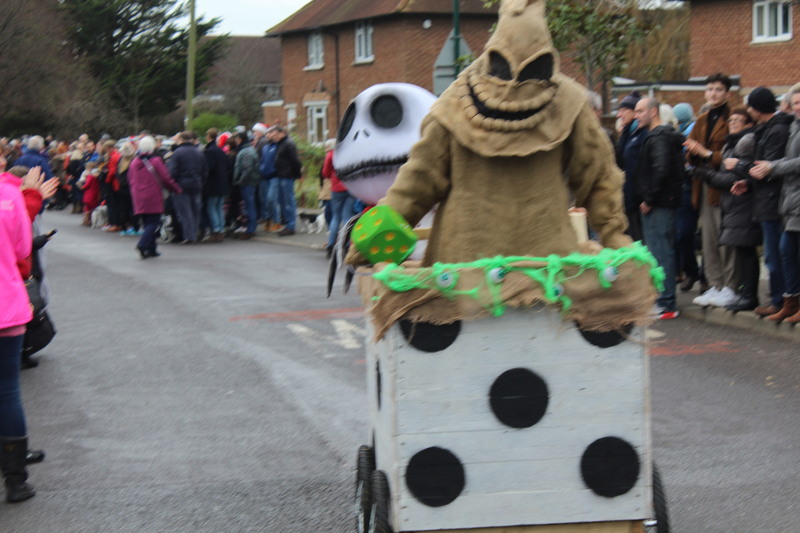 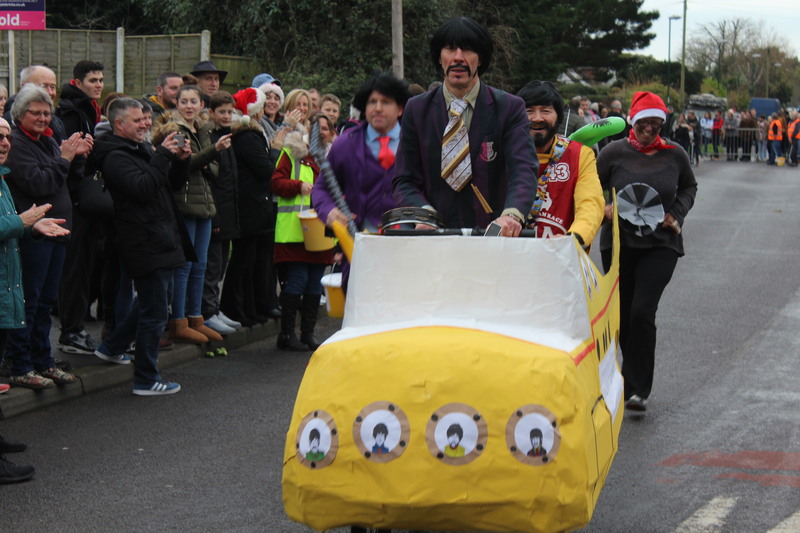 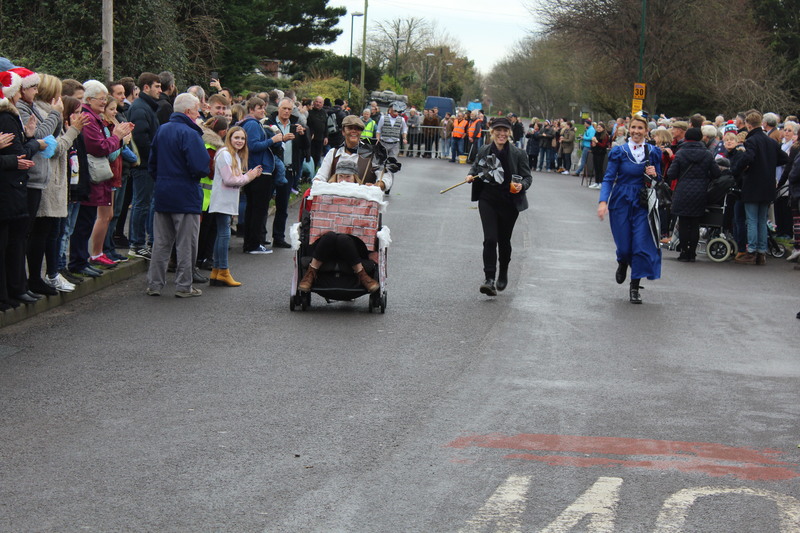 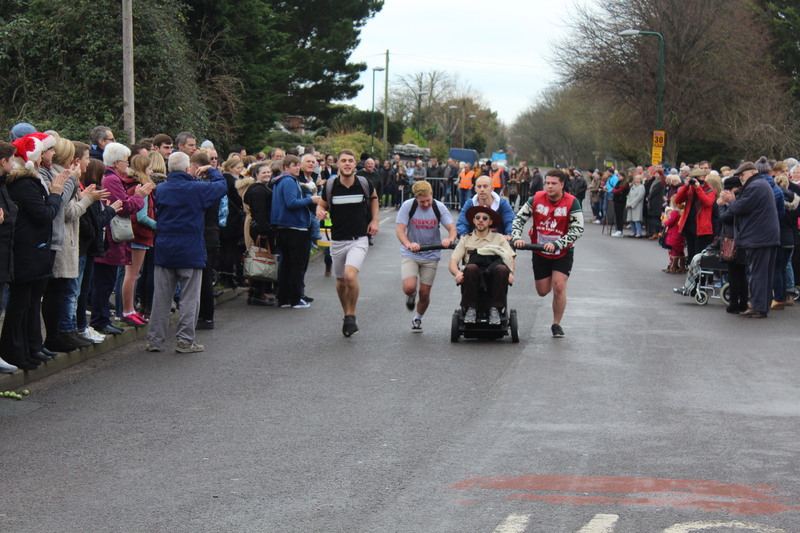 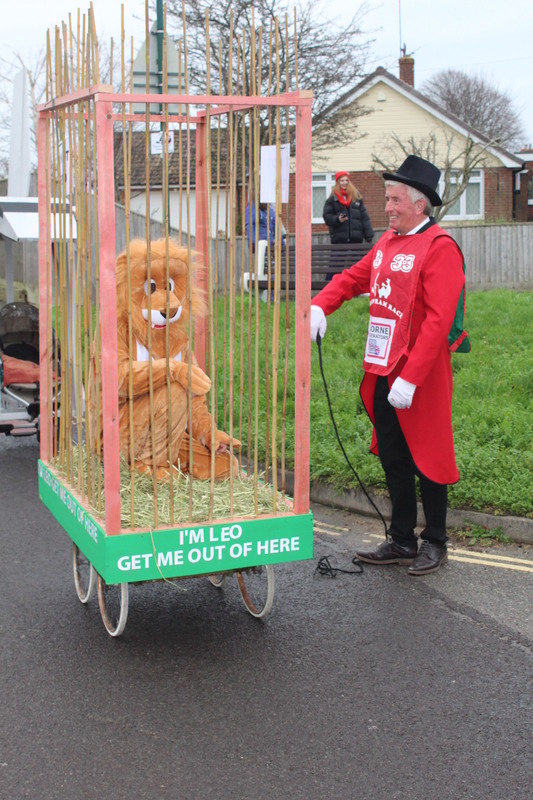 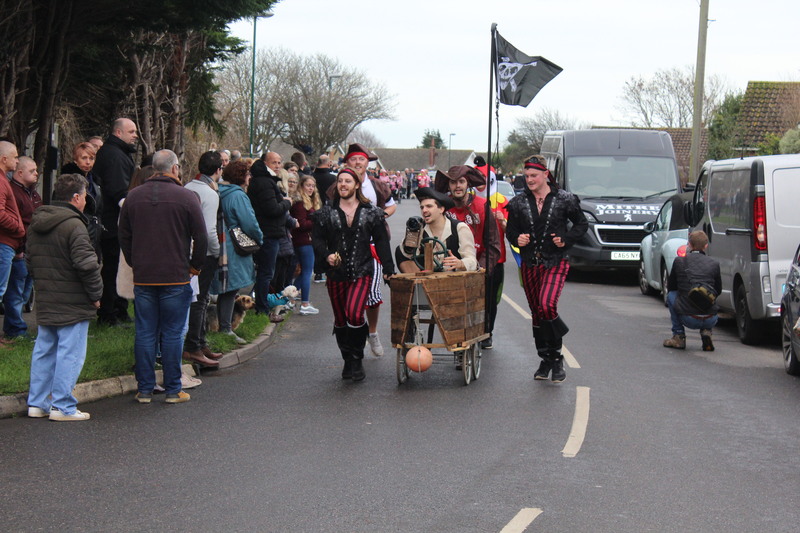 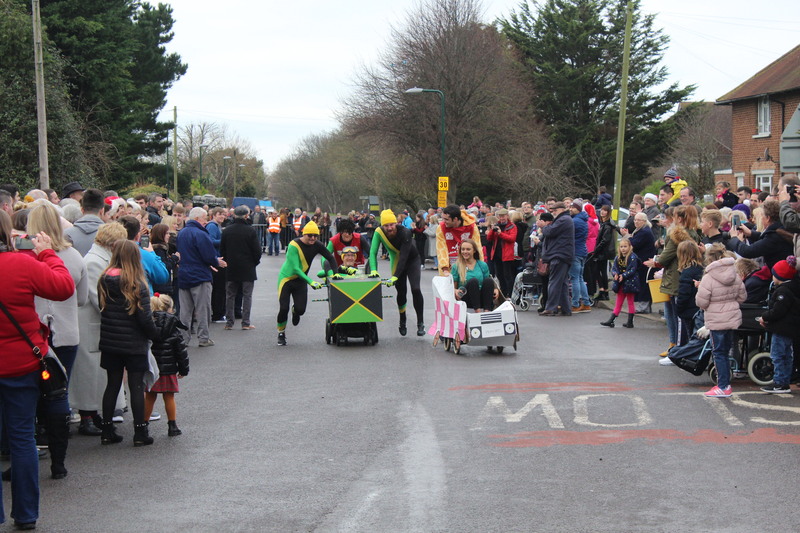 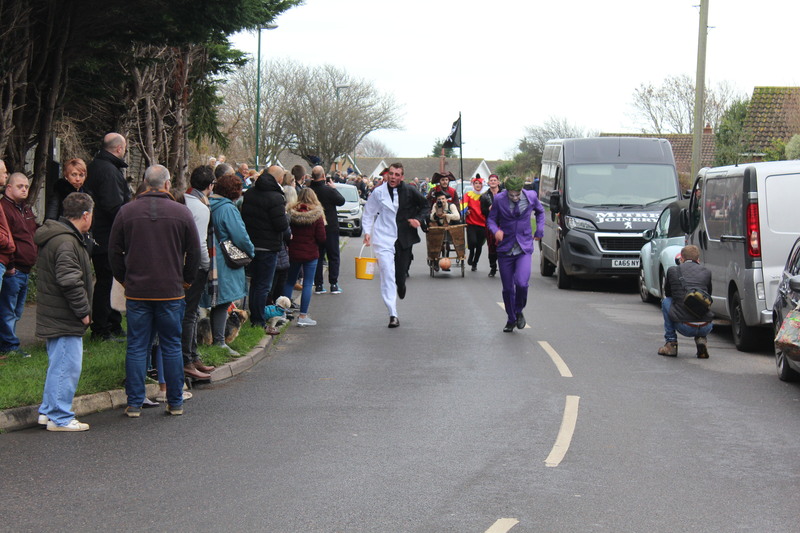 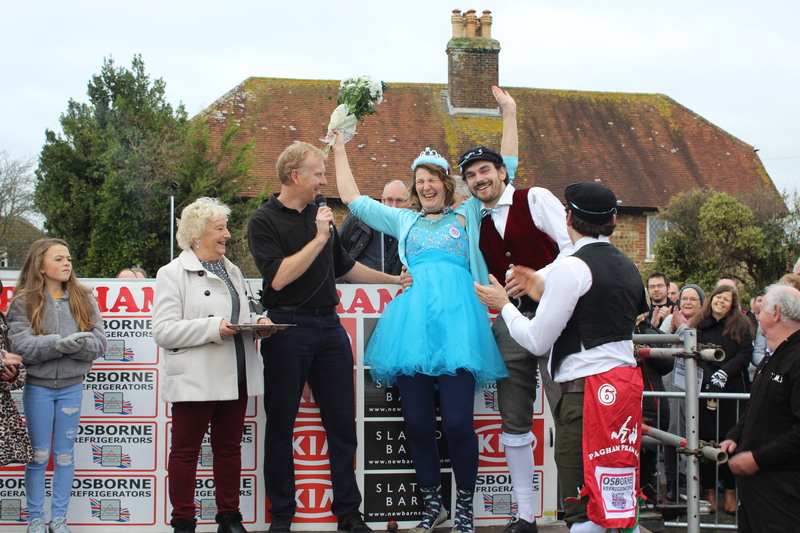 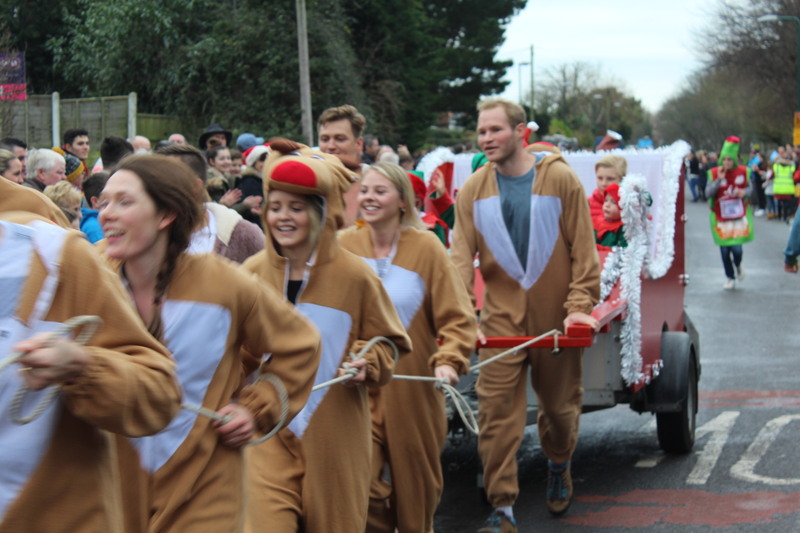 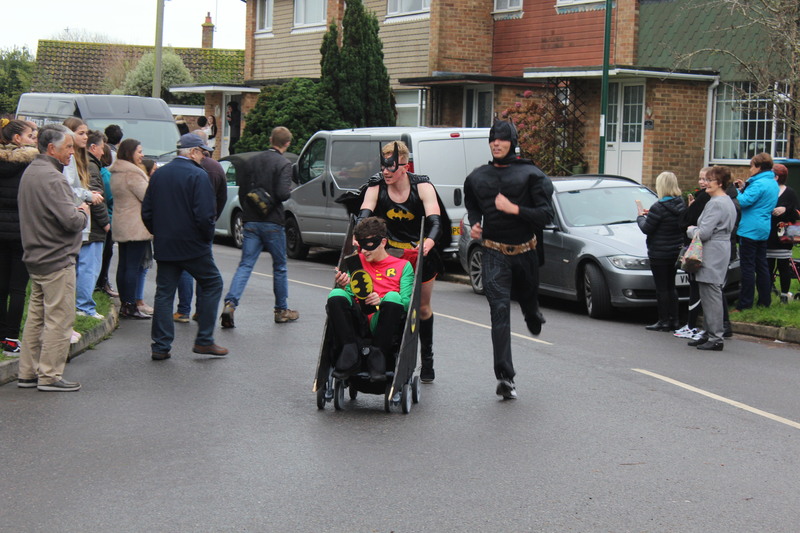 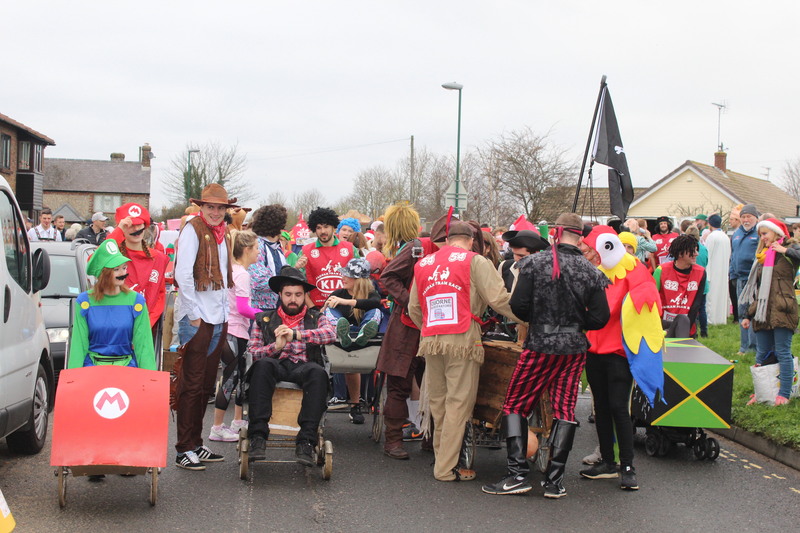 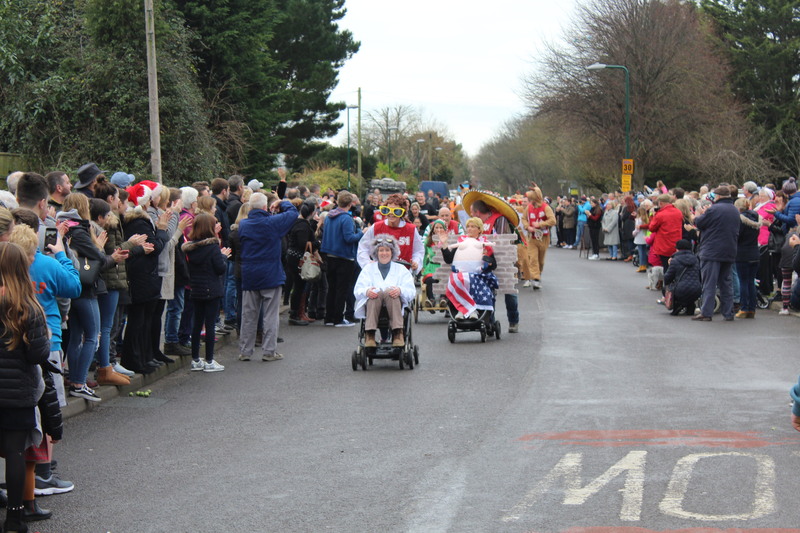 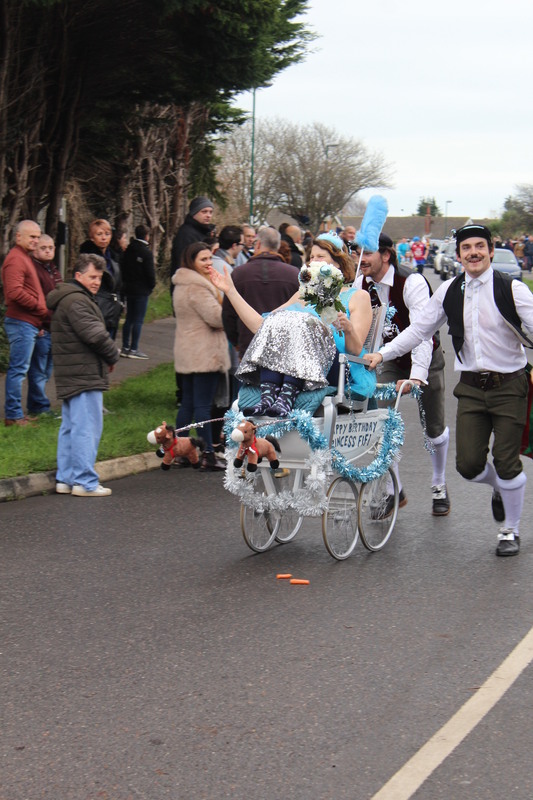 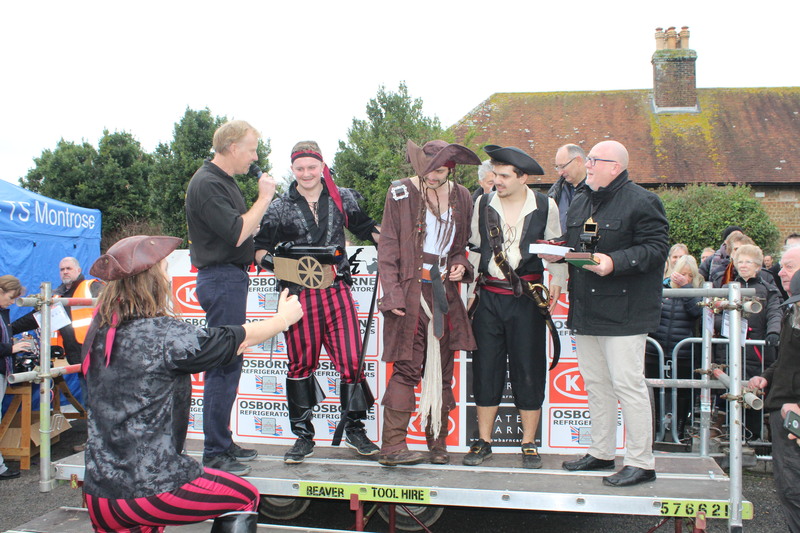 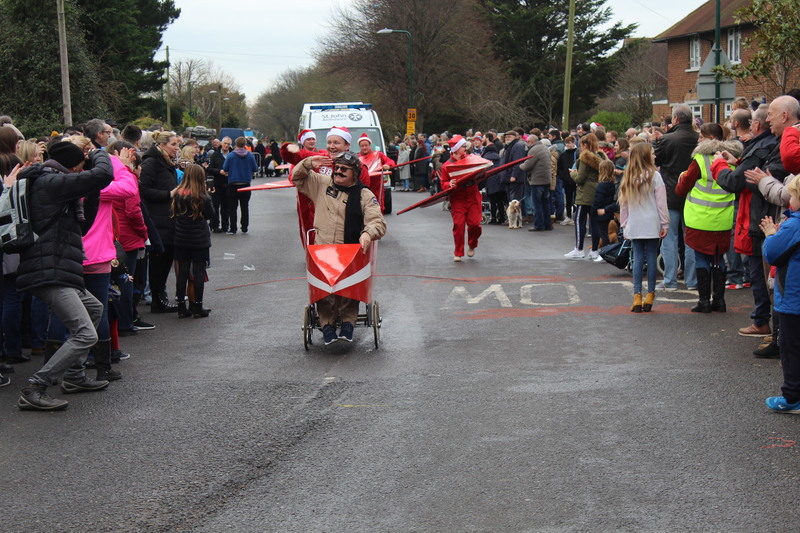 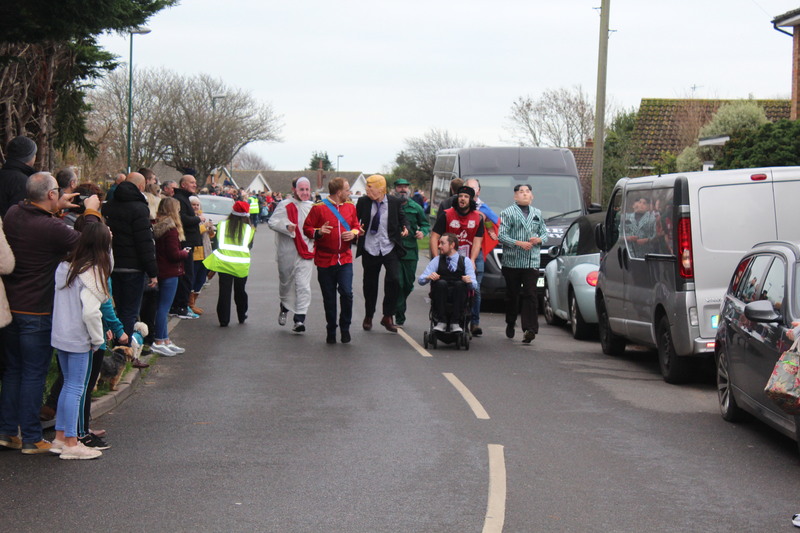 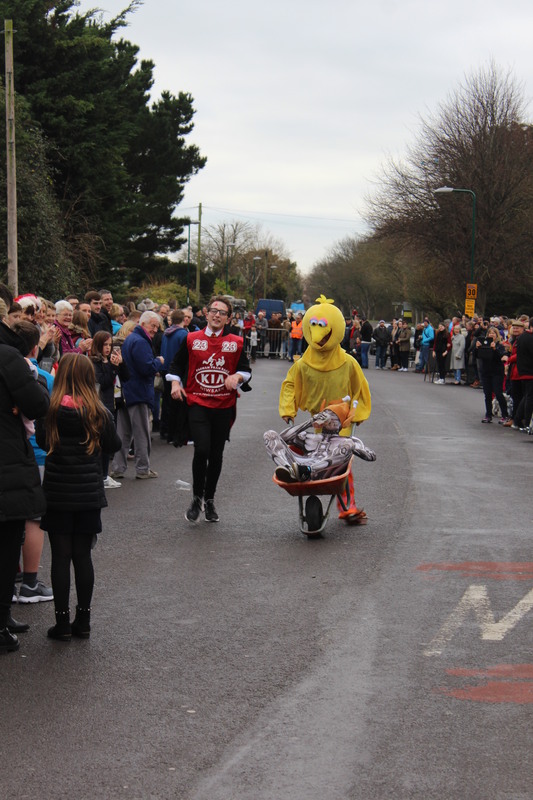 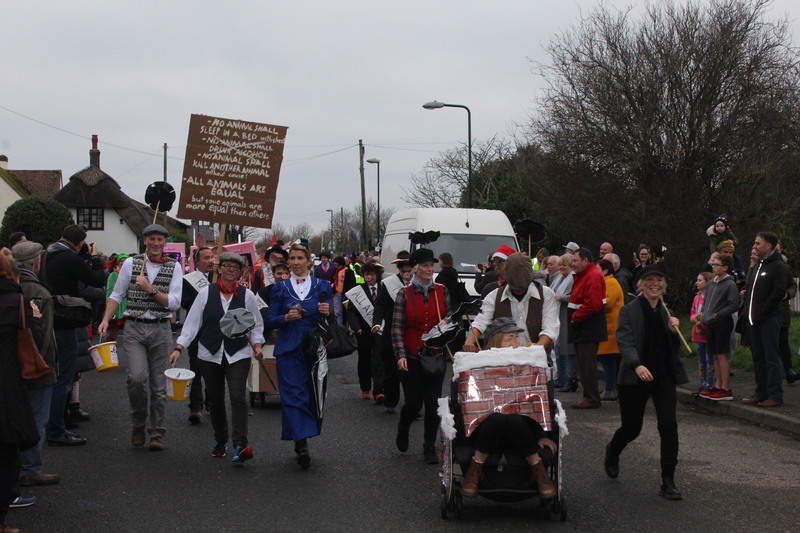 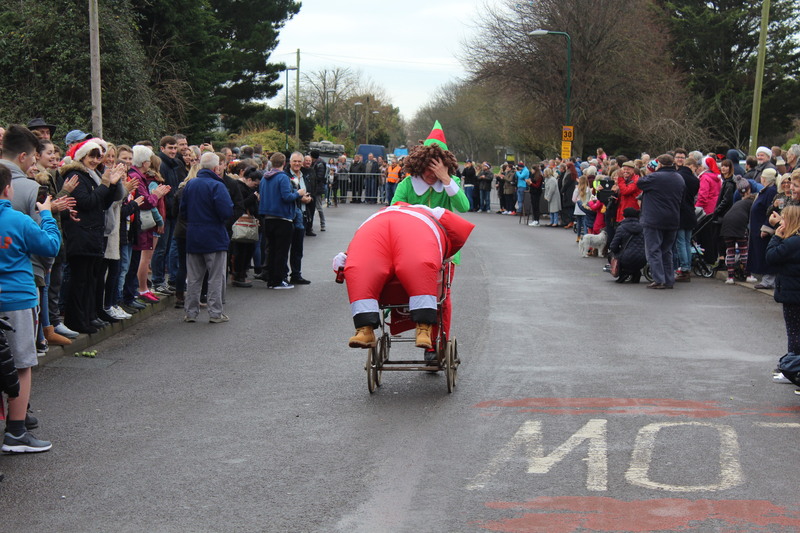 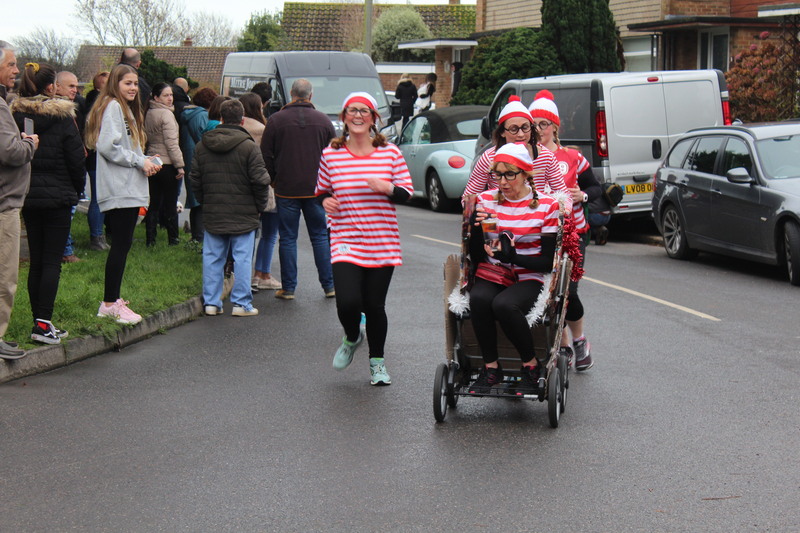 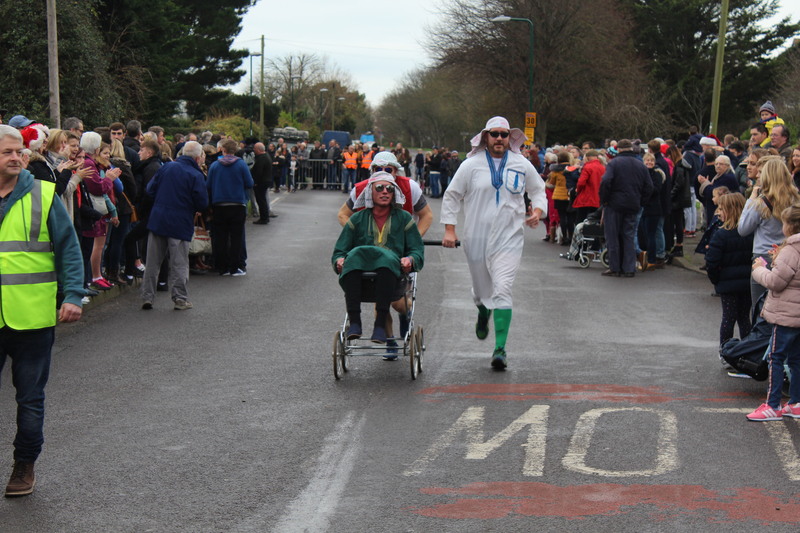 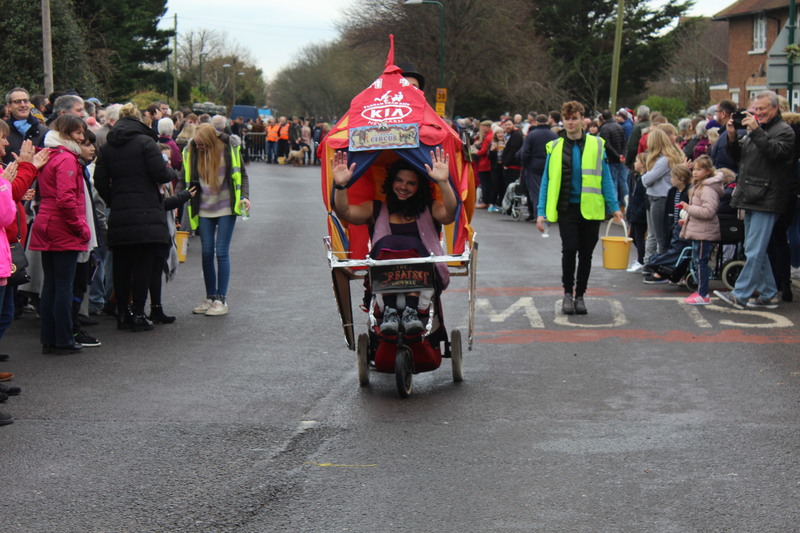 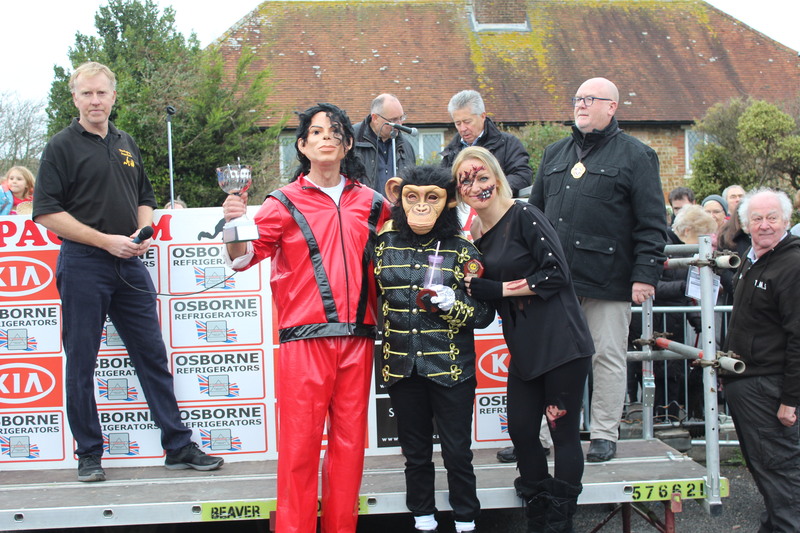 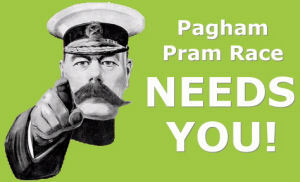 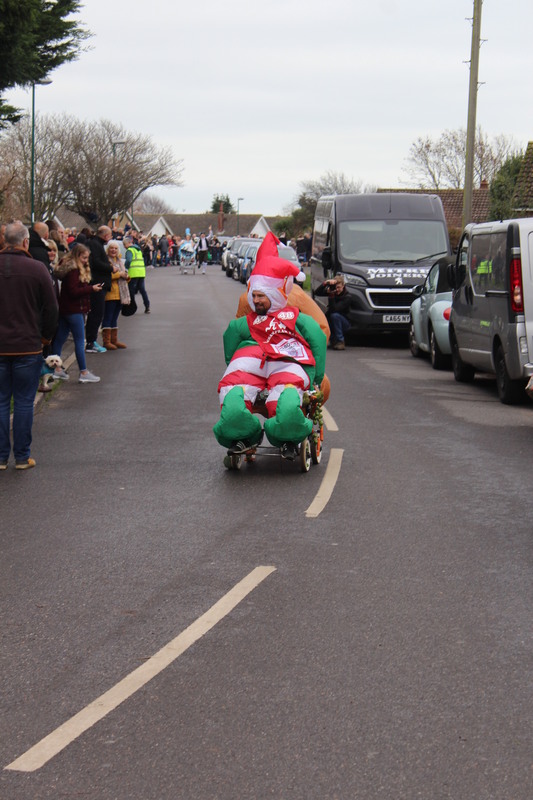 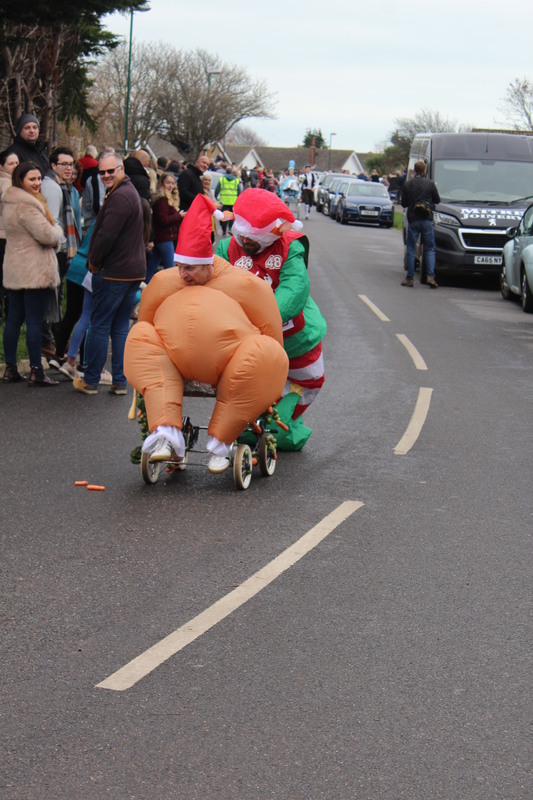 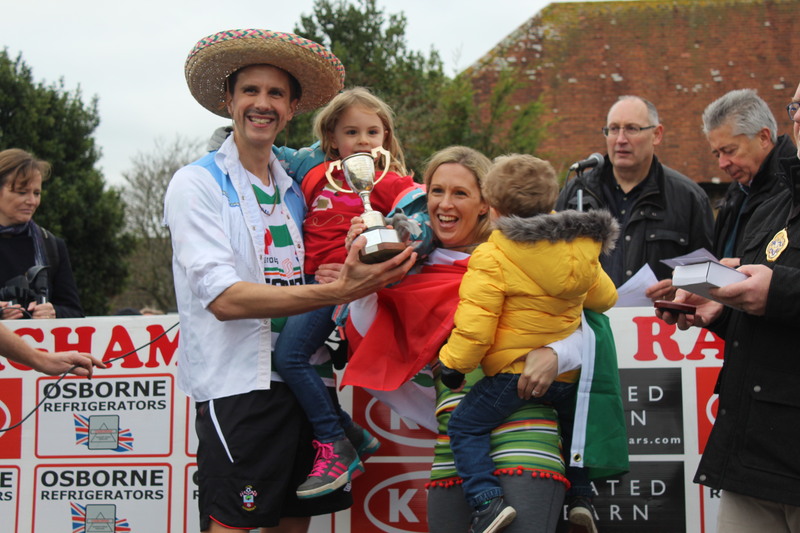 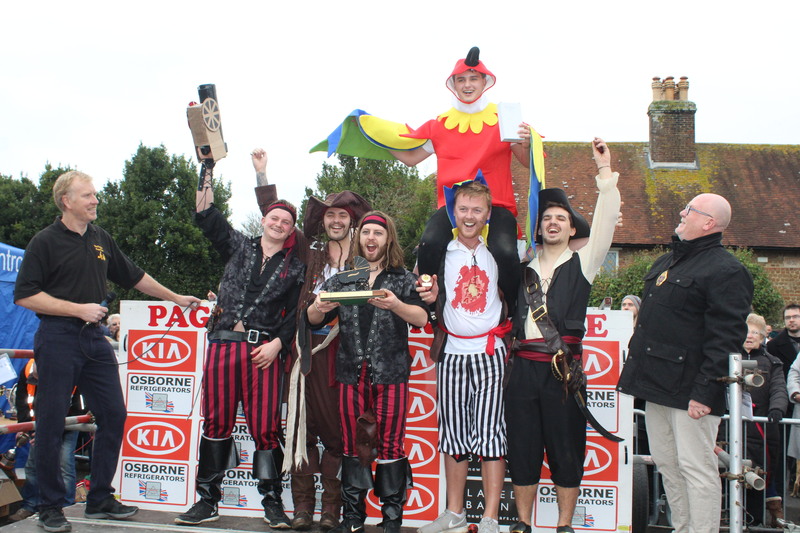 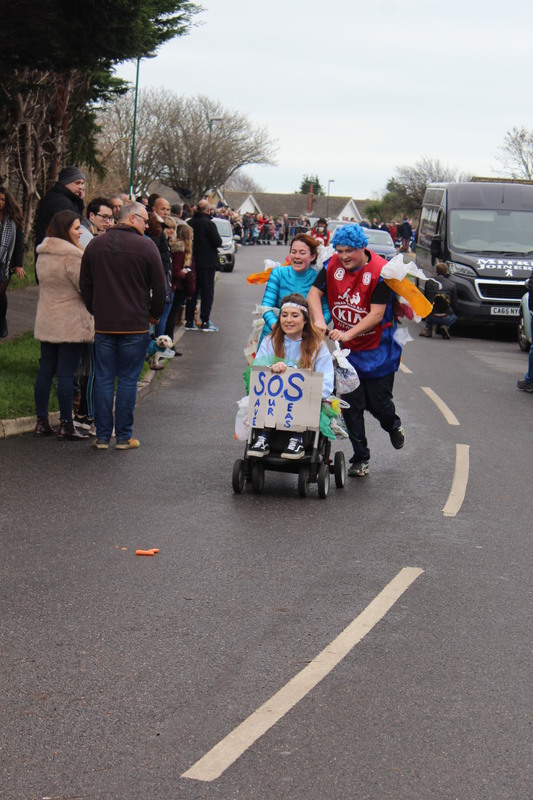 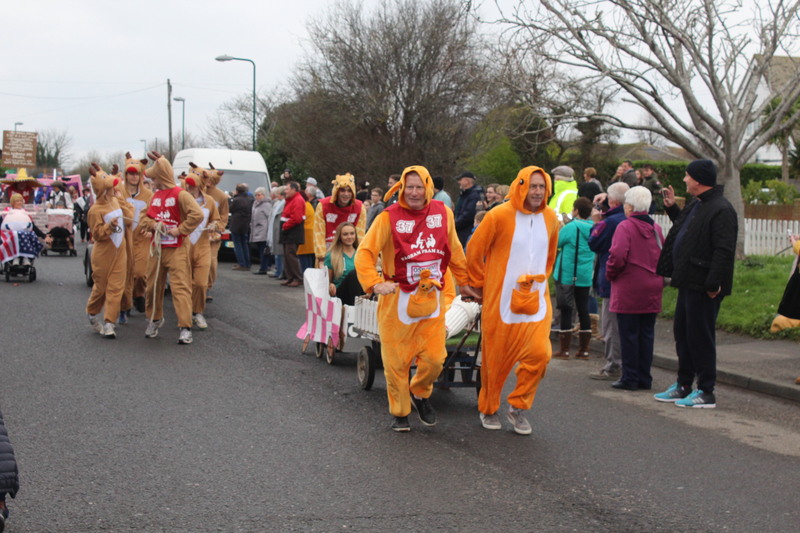 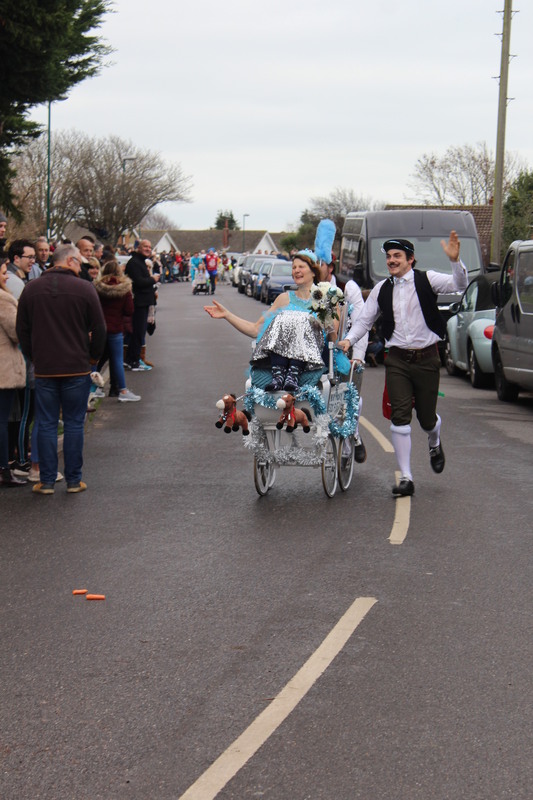 The Pagham Pram Race has a 70 year plus history. 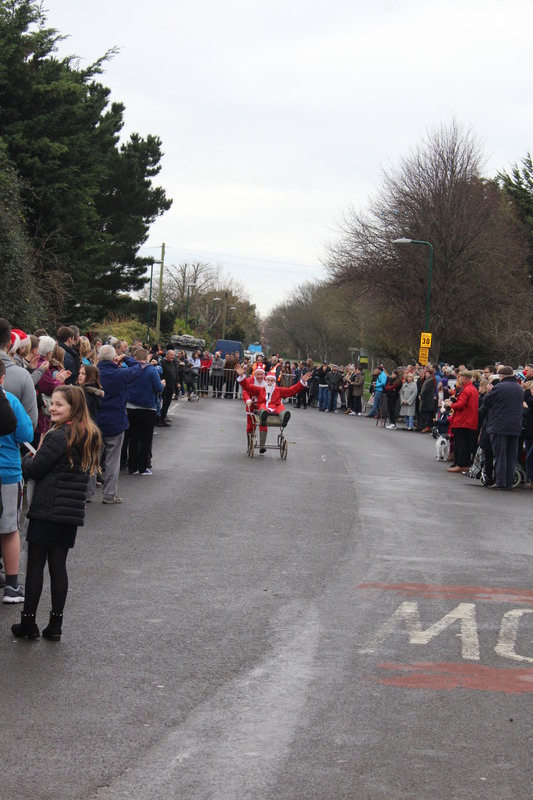 In 1946 a group of demobbed servicemen decided they would like to do something over the Christmas period, so they came up with the idea of a pram race. 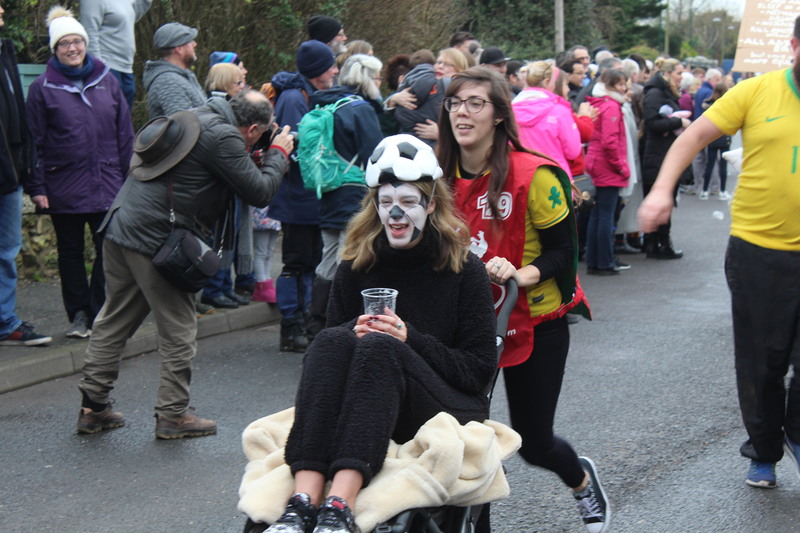 One pushing the pram and another as a baby in it, making sure to drink a pint of beer each, at three of the village pubs. 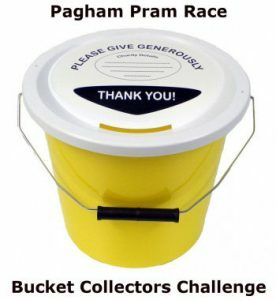 Due to the recent closure of the Kings Beach Hotel racers now stop at the Pagham Beach Cafe instead. 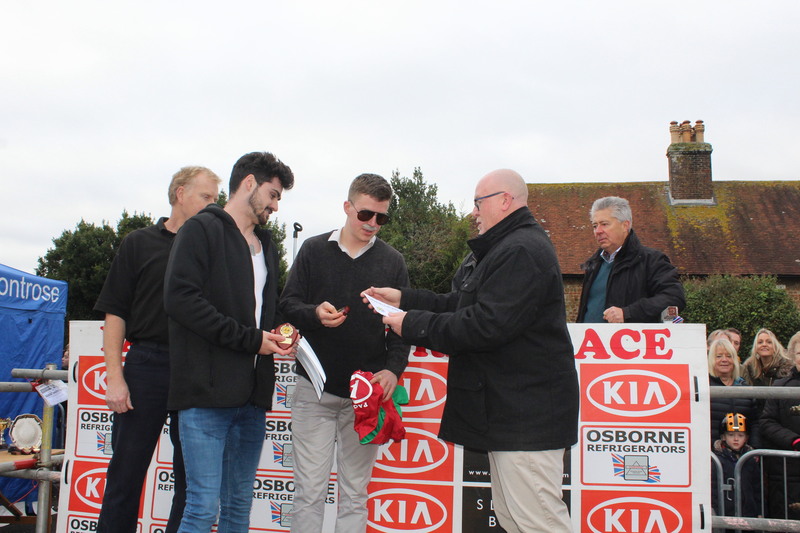 The prize then, a Christmas fruit cake. 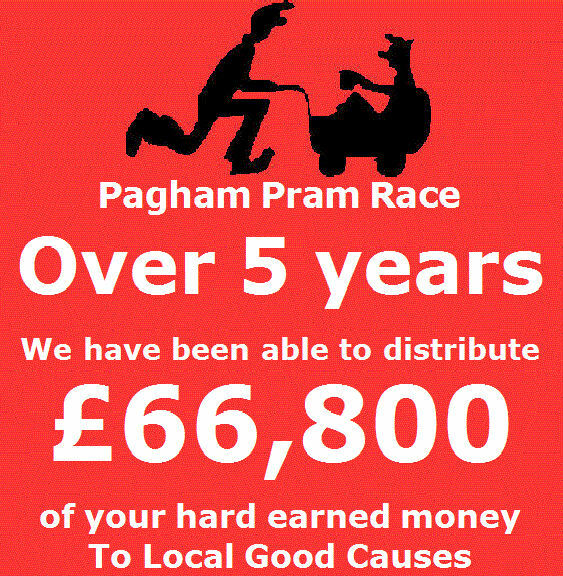 And any monies raised to go to local good causes. 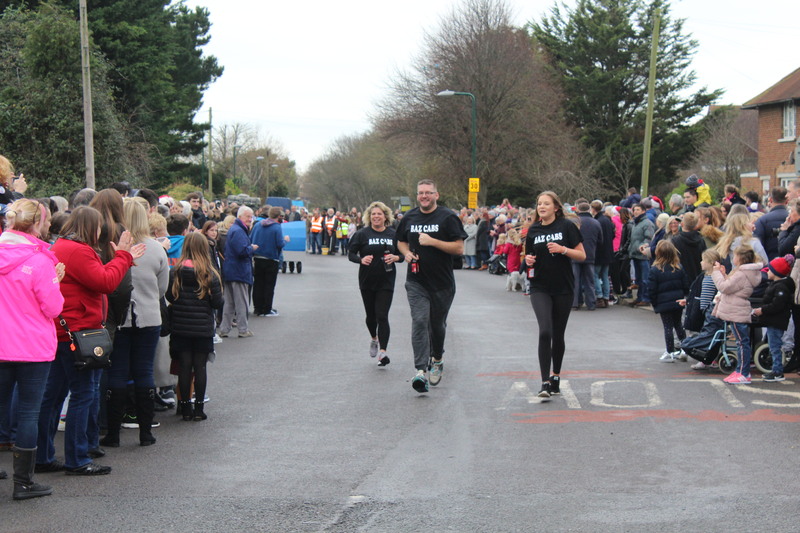 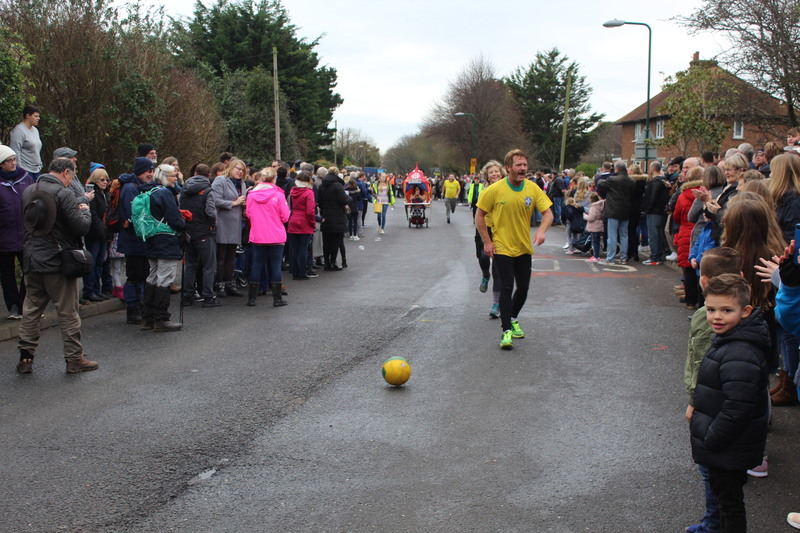 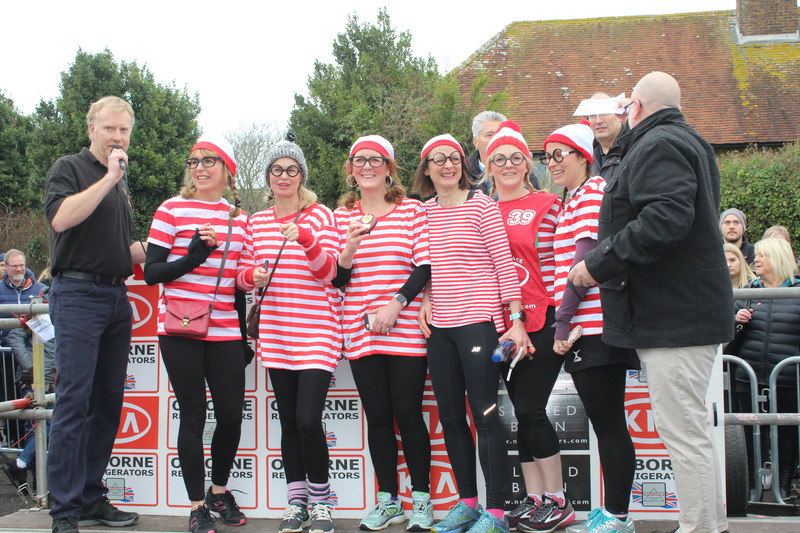 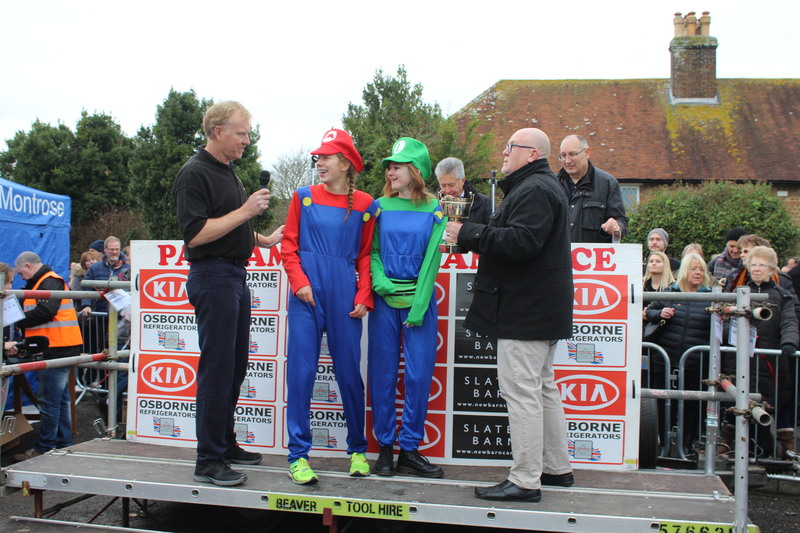 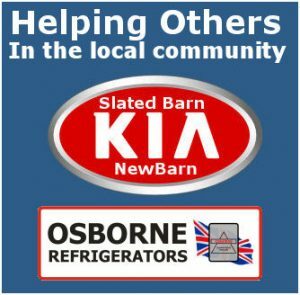 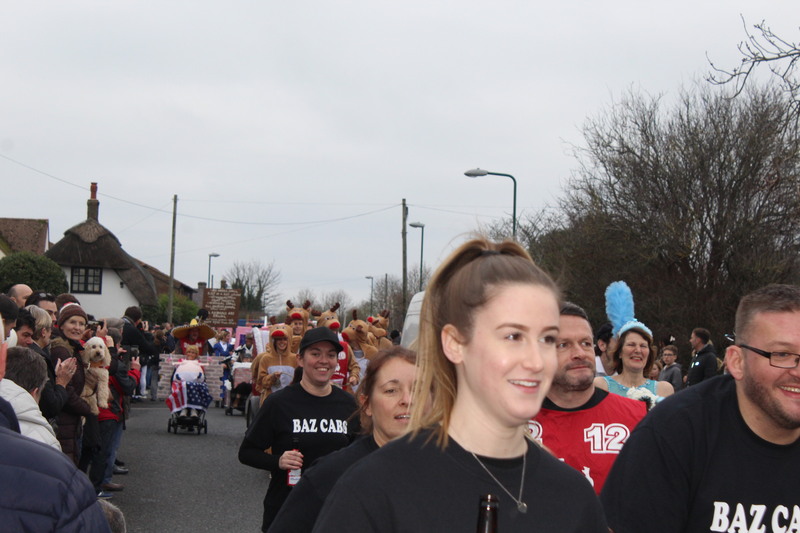 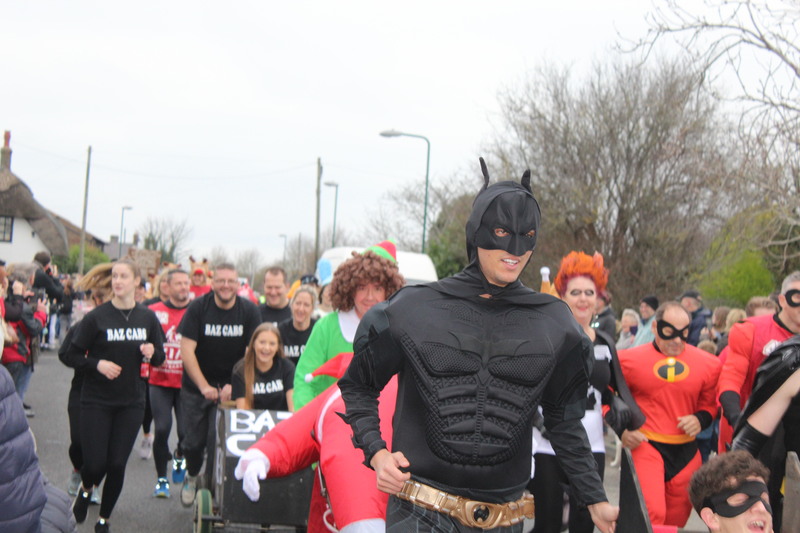 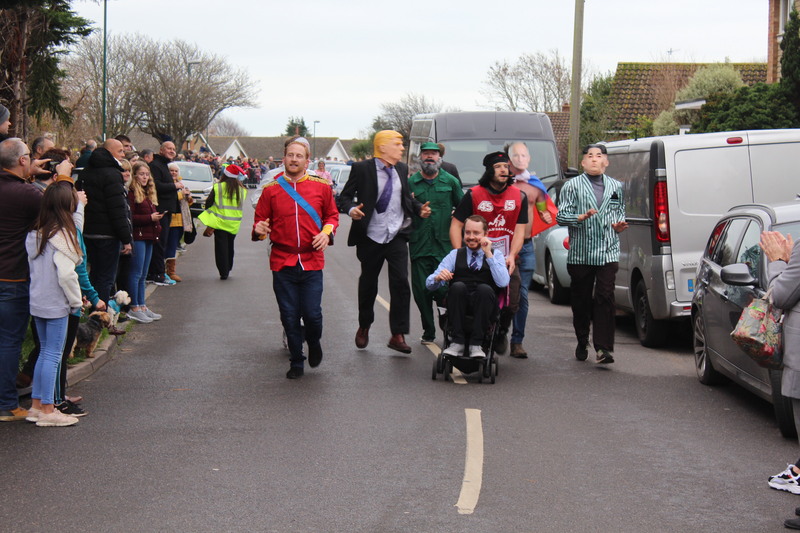 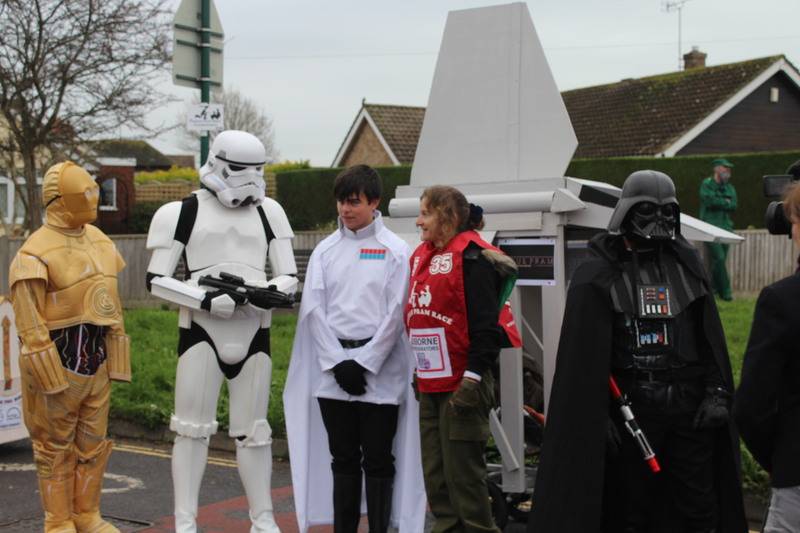 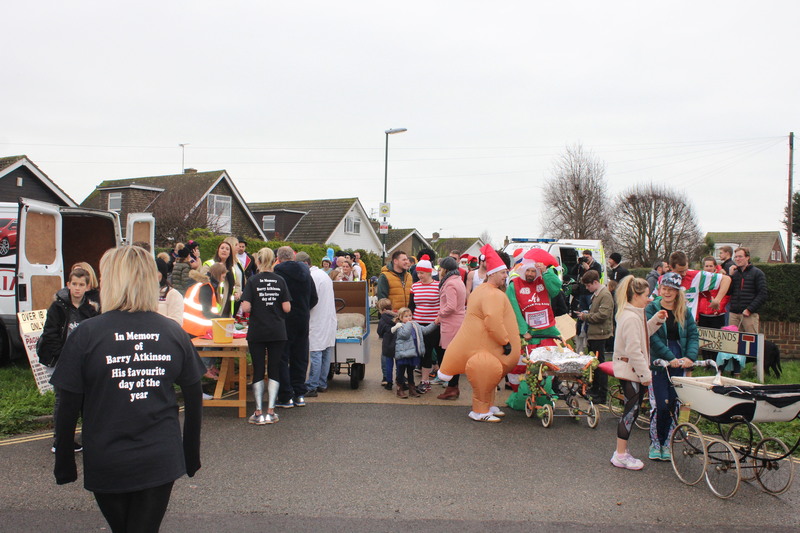 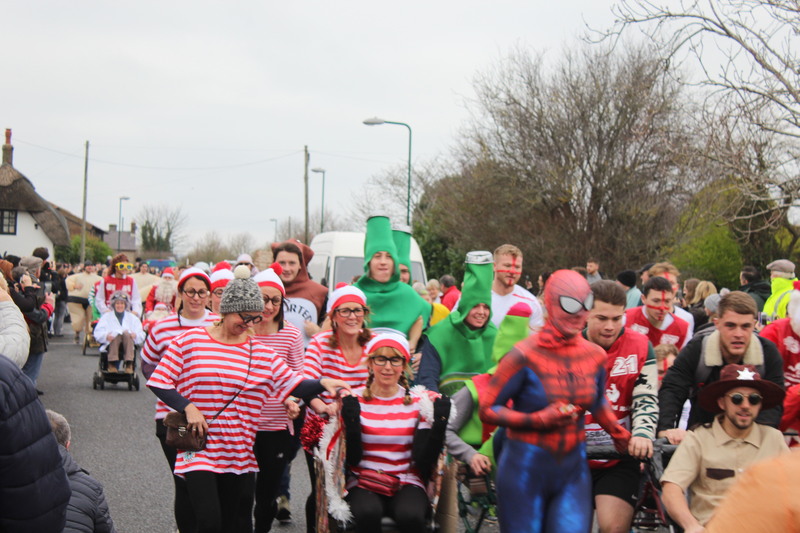 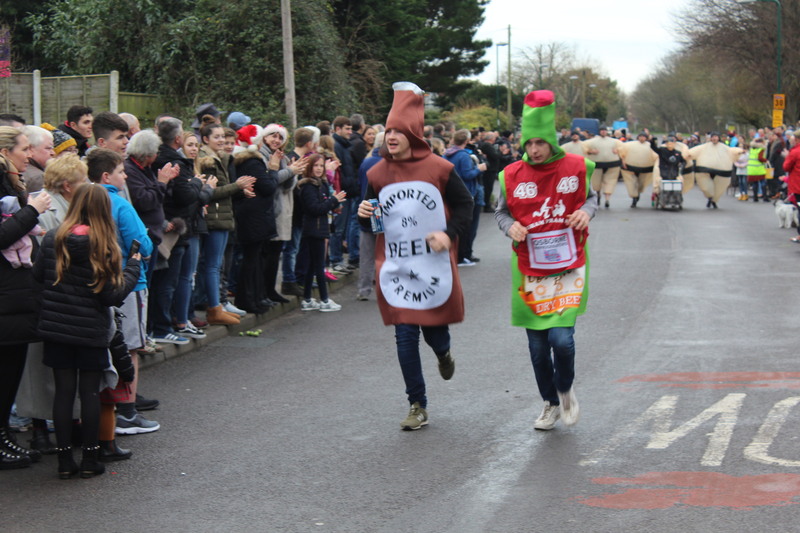 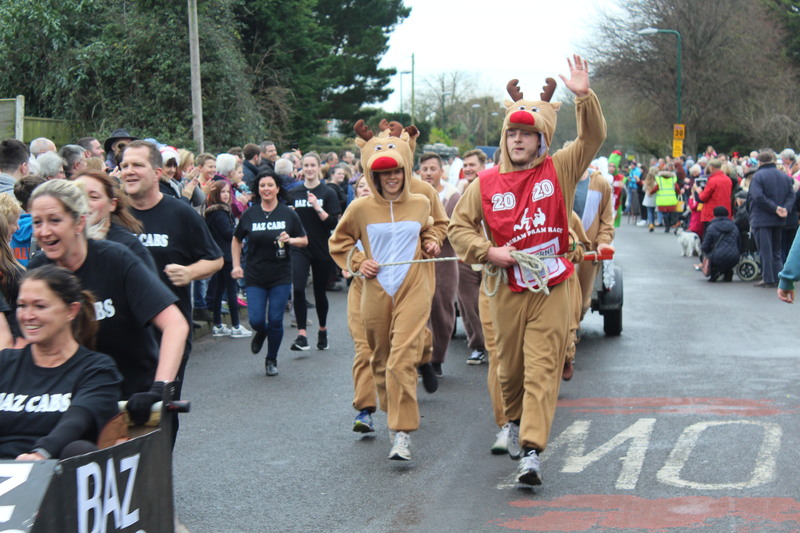 starting at The Mill on Pagham Road and stopping at The Bear, The Lamb and The old Kings Beach public houses, a course of approximately 3 miles that finishes at The Lamb Inn car park. 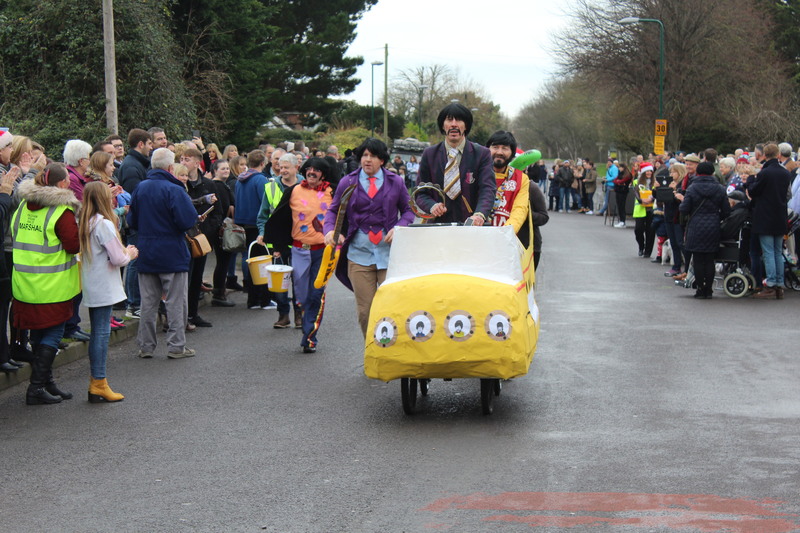 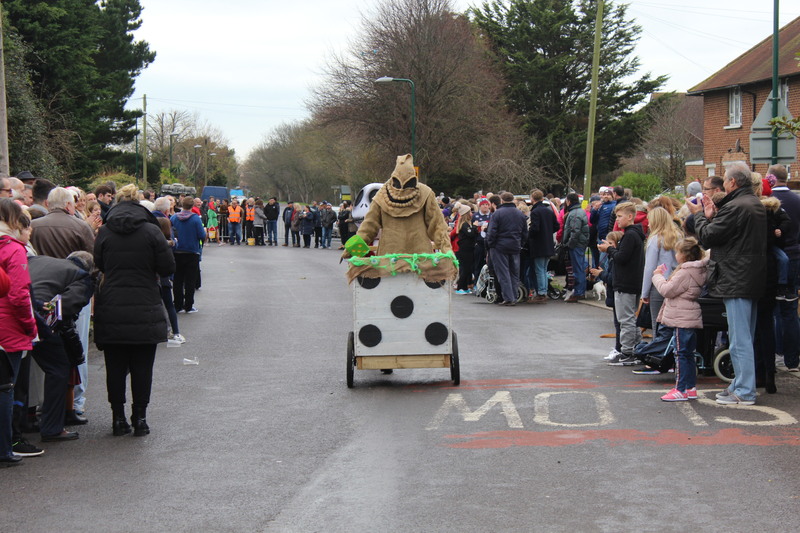 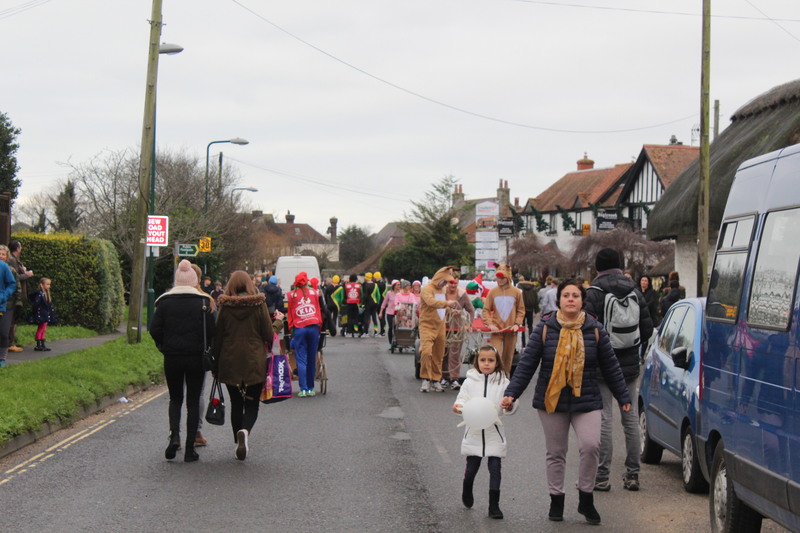 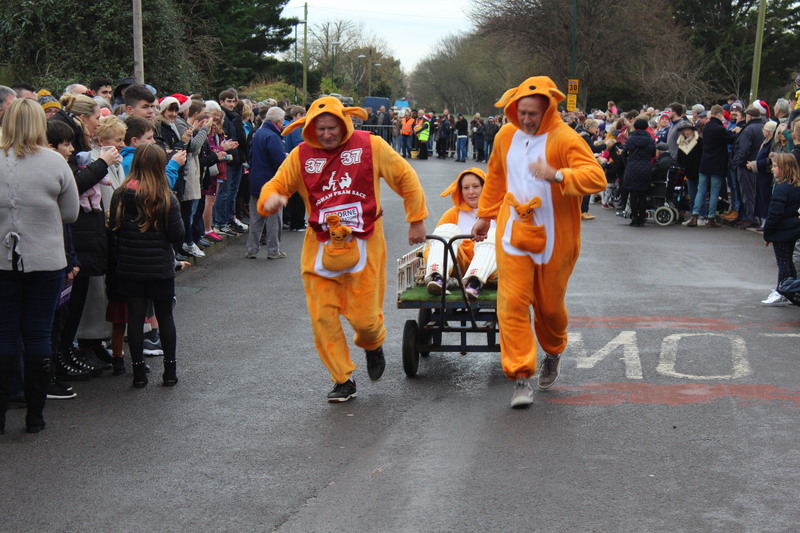 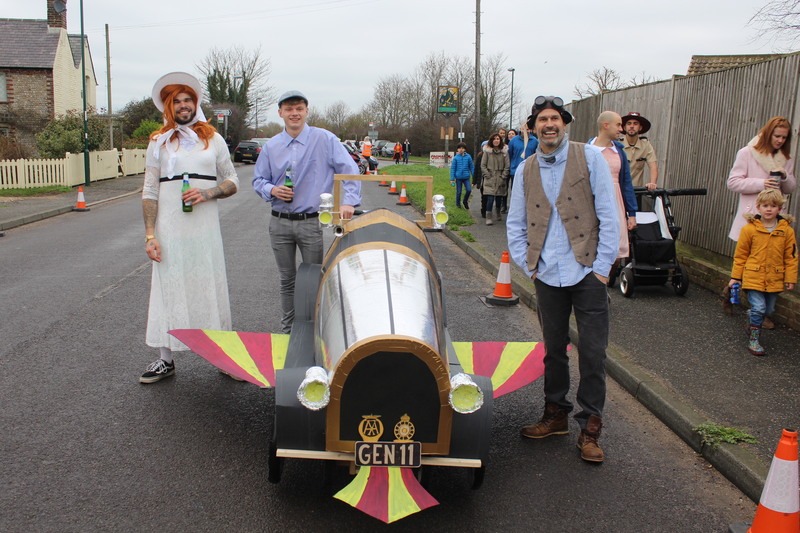 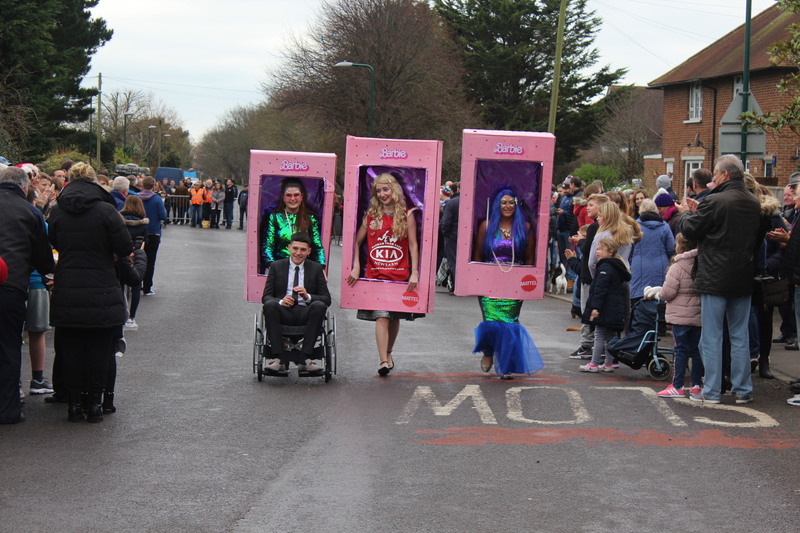 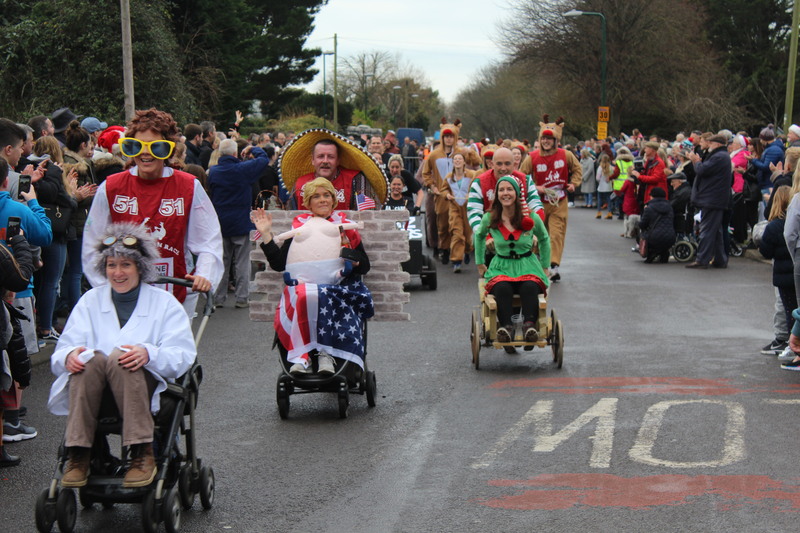 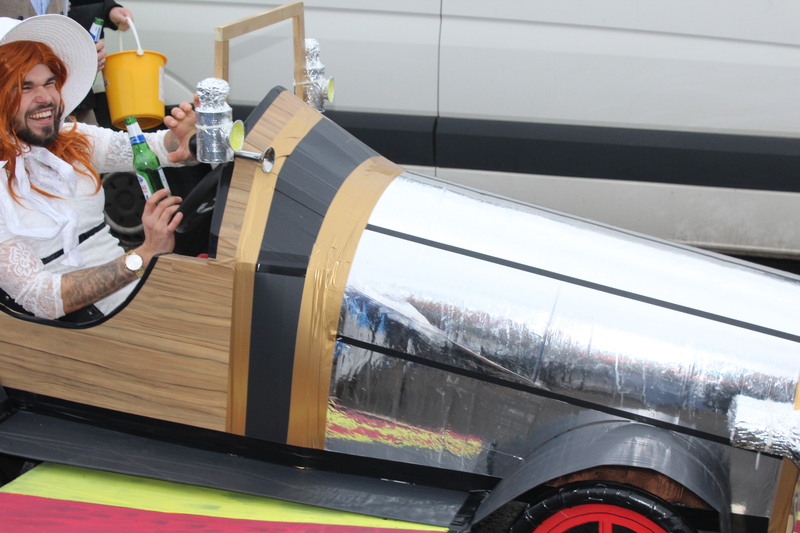 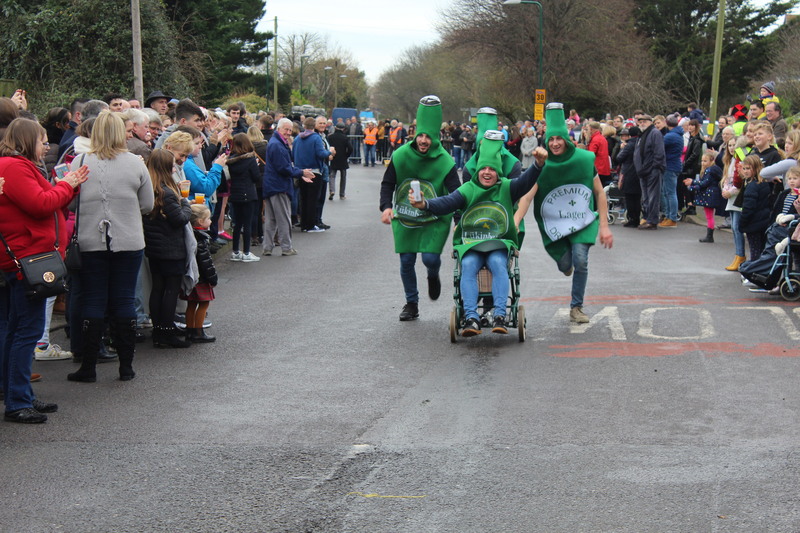 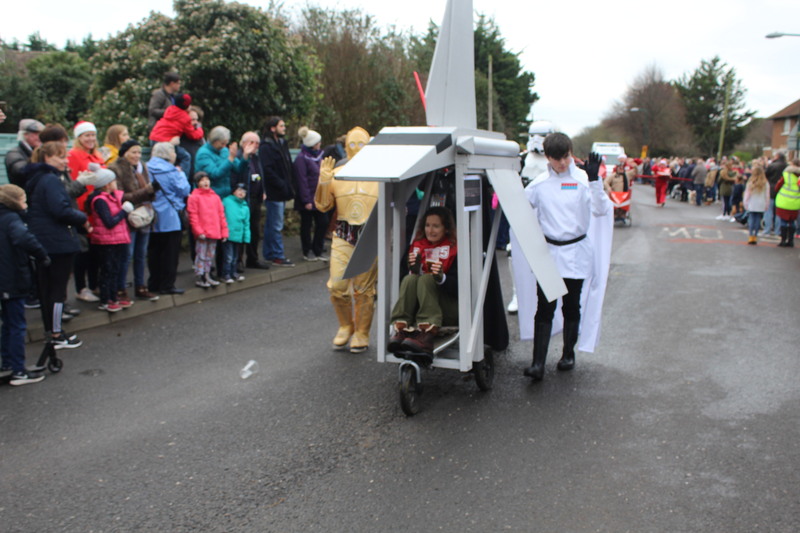 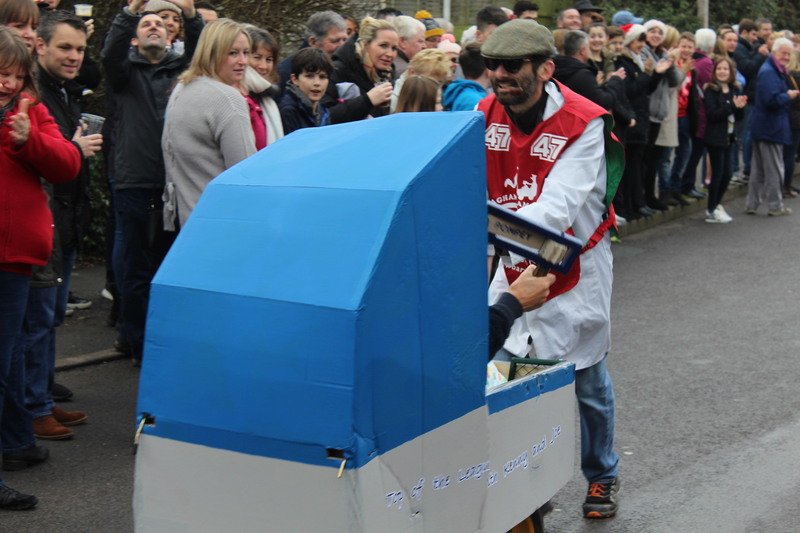 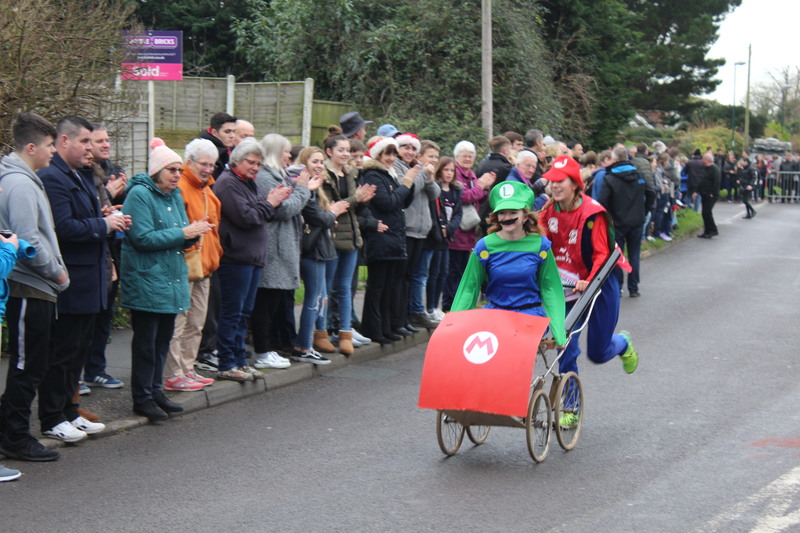 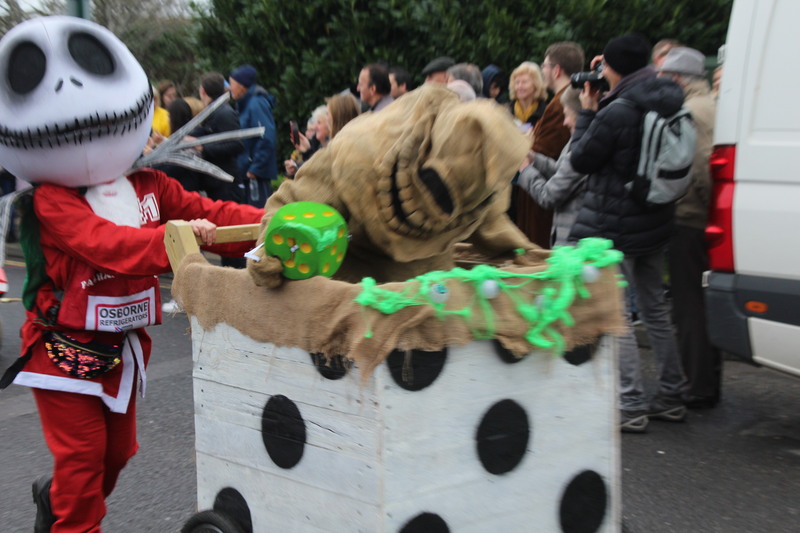 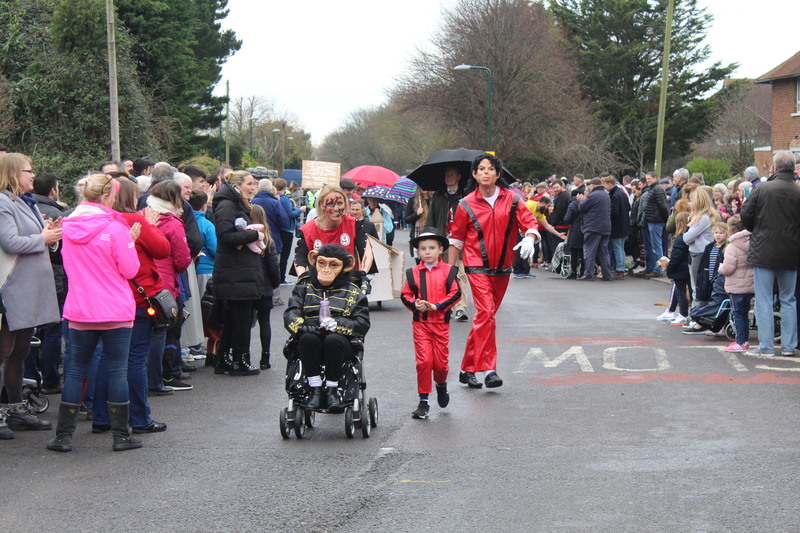 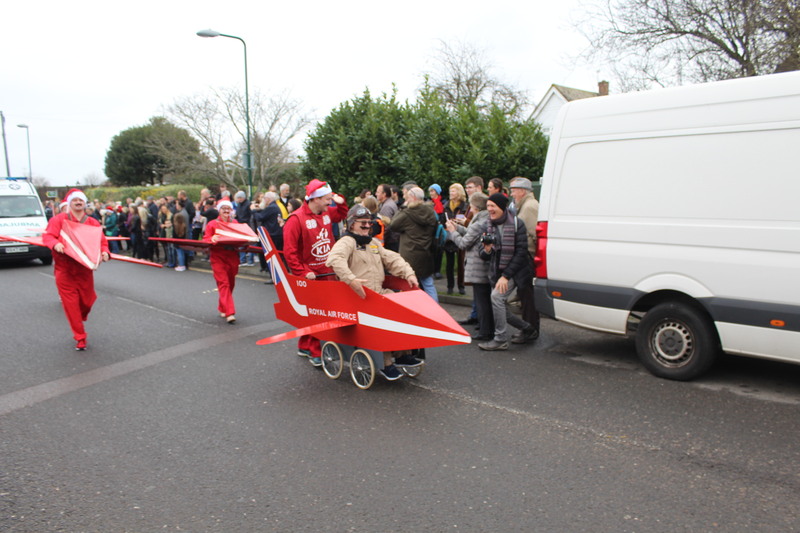 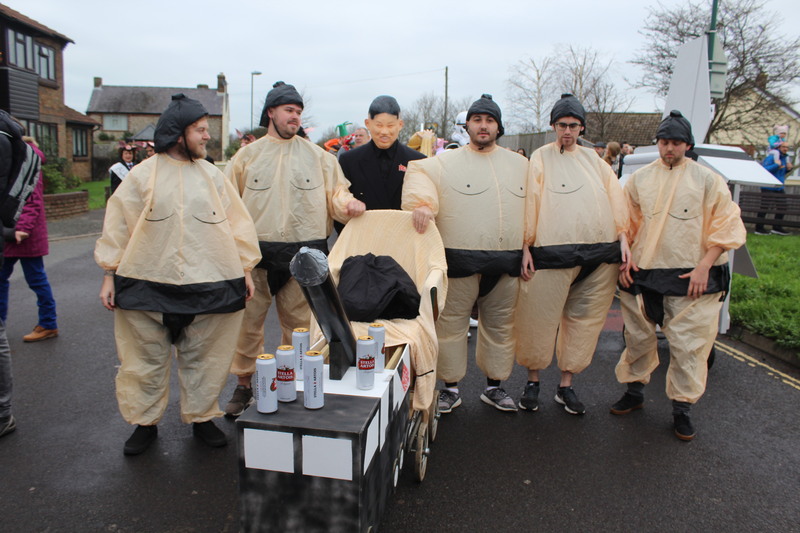 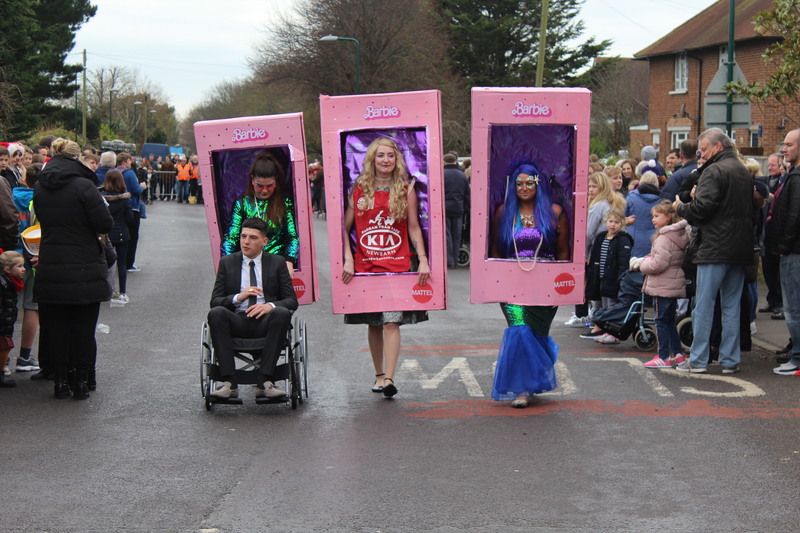 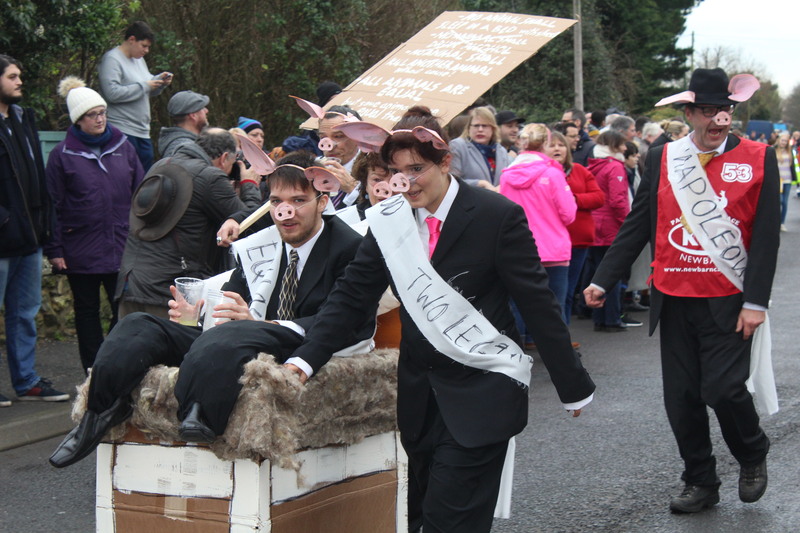 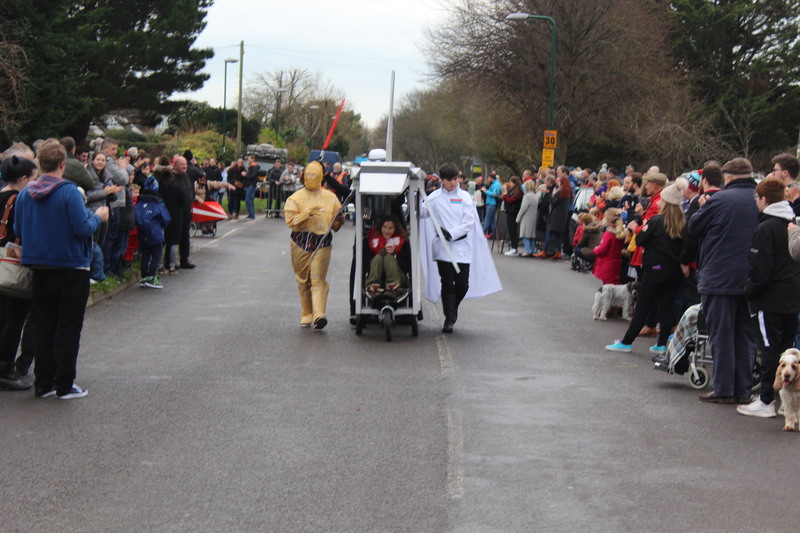 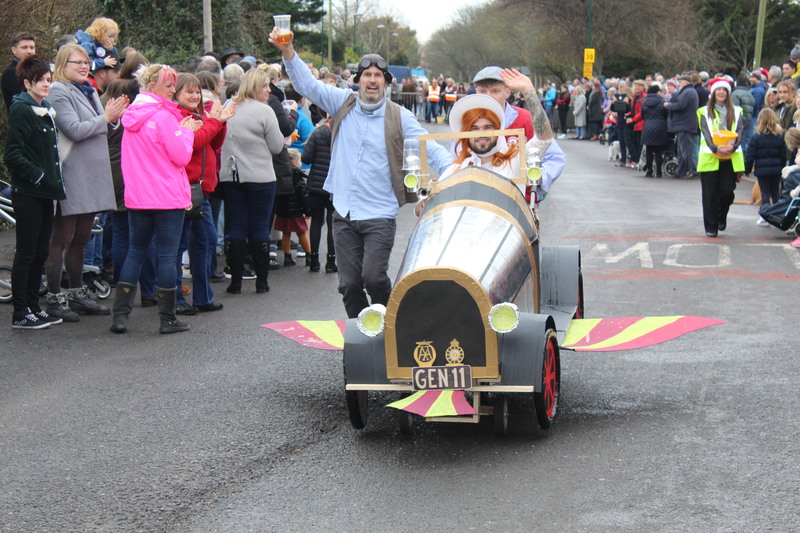 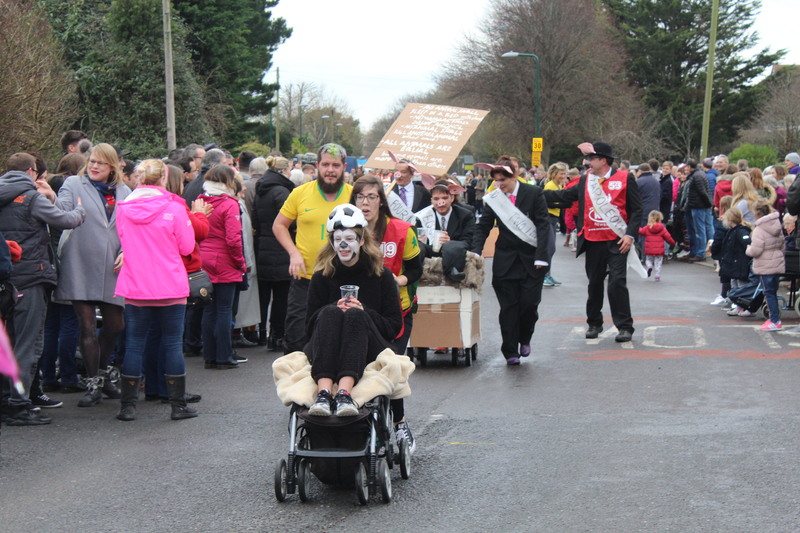 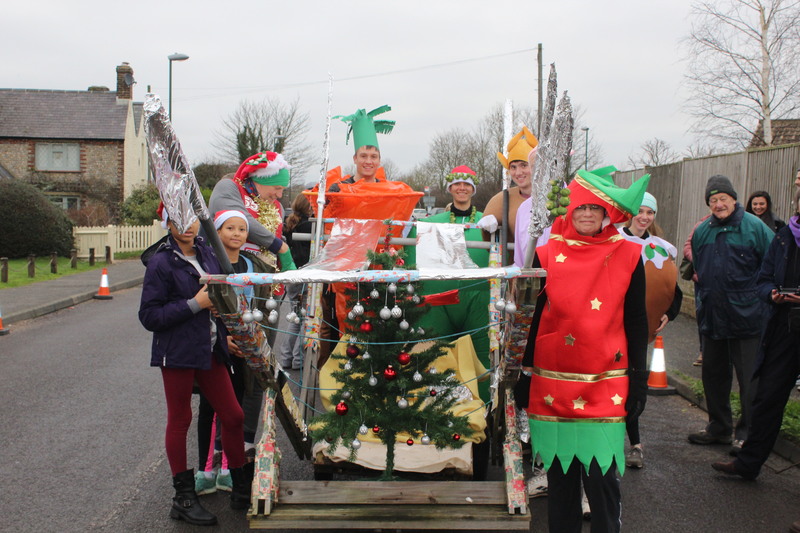 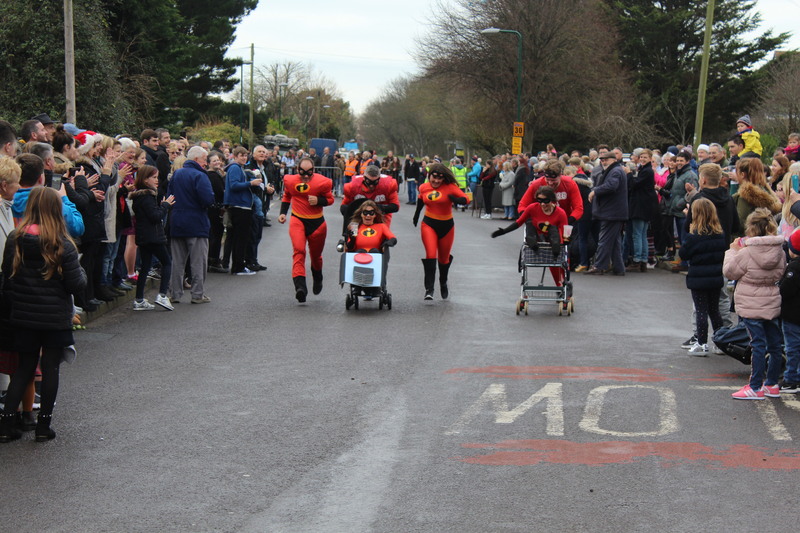 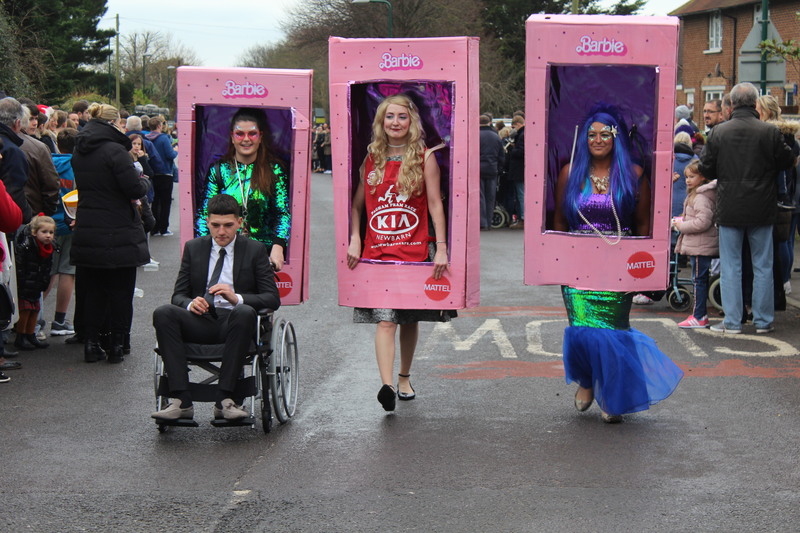 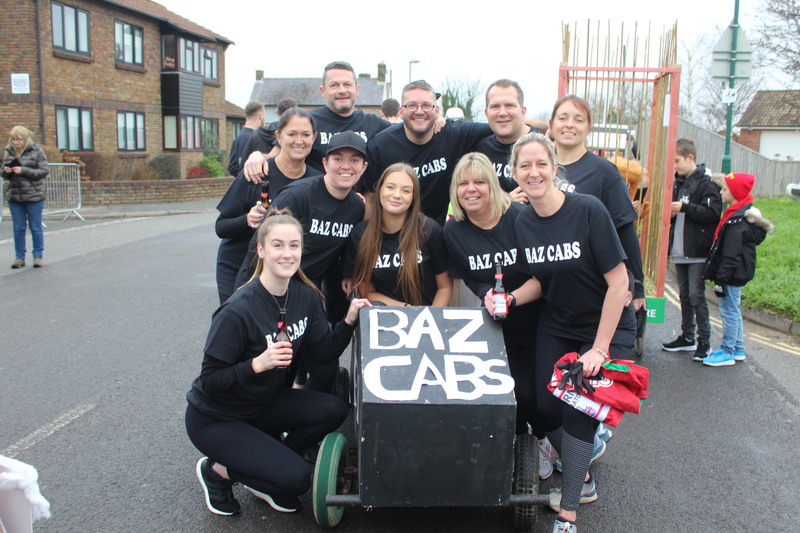 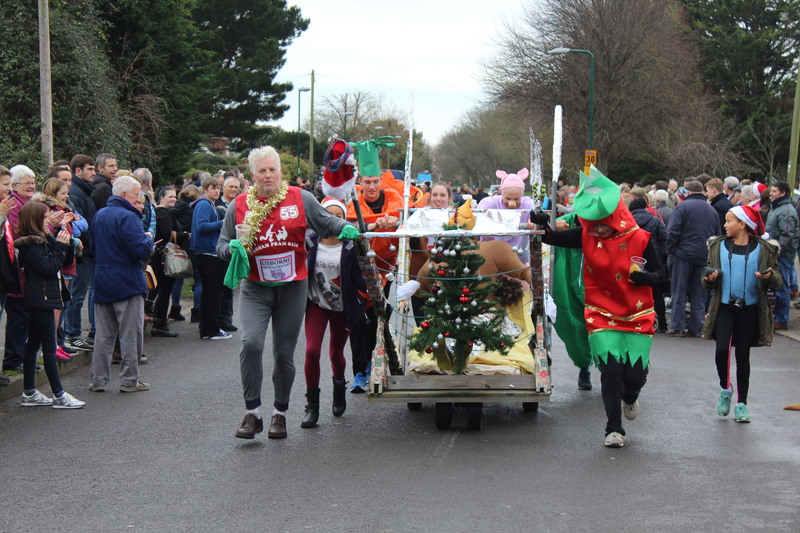 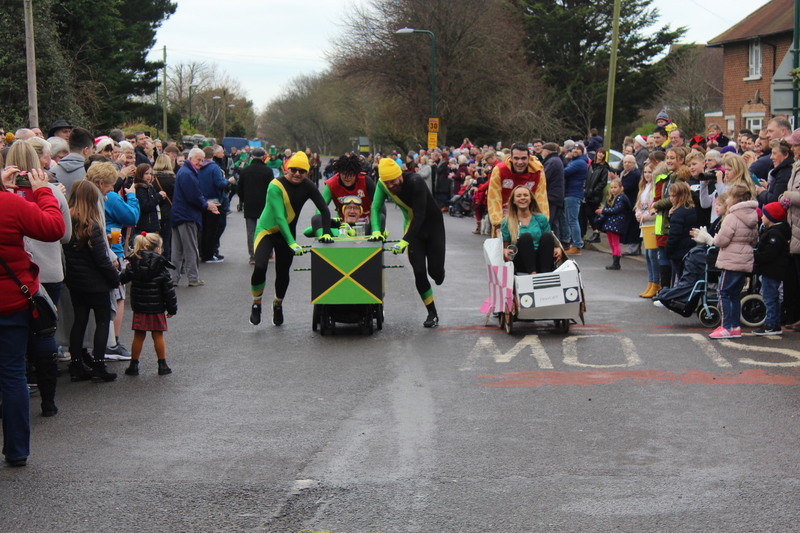 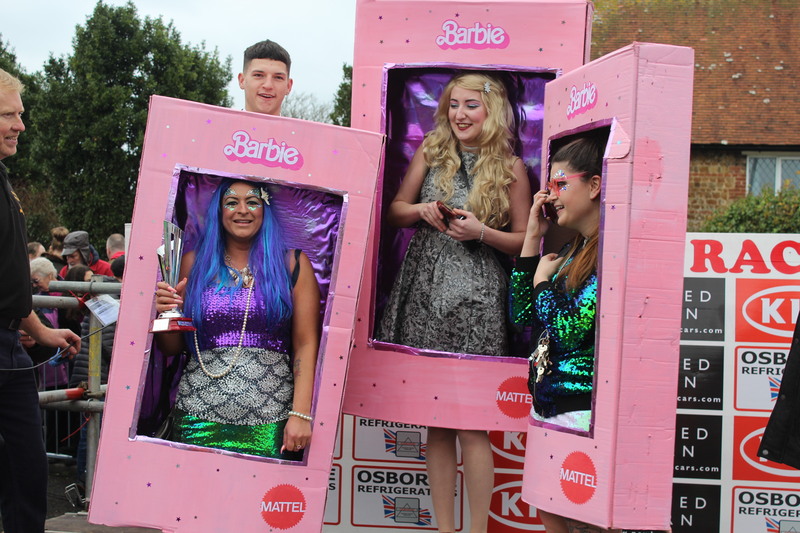 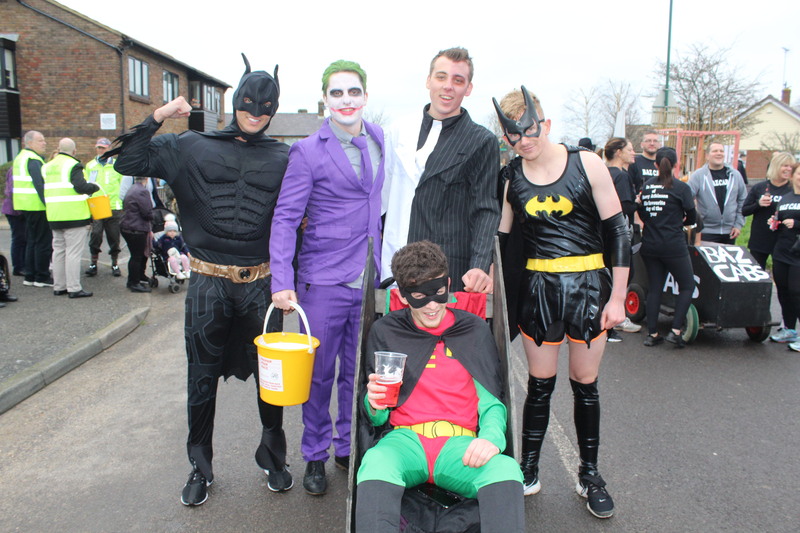 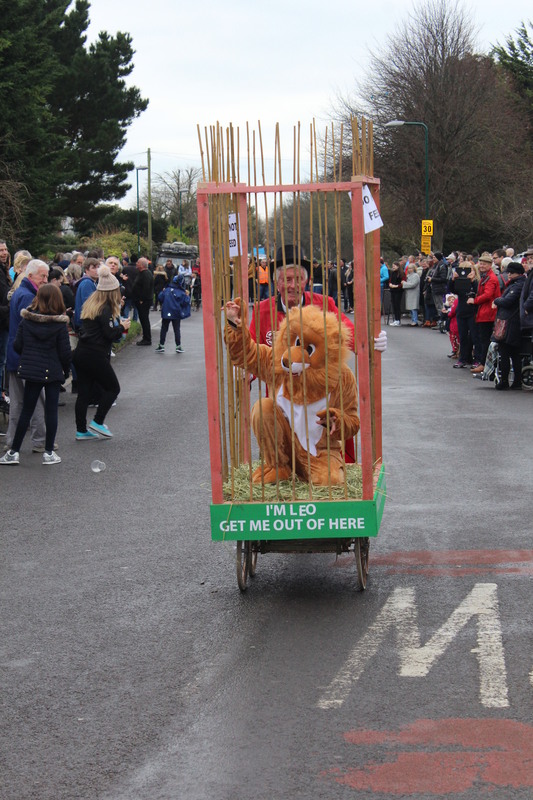 The race starts at 11 am prompt and lately there has been as many as 60 Pram entrants, some of these are fantastically designed floats usually accompanied by contestants in topical fancy dress costumes.